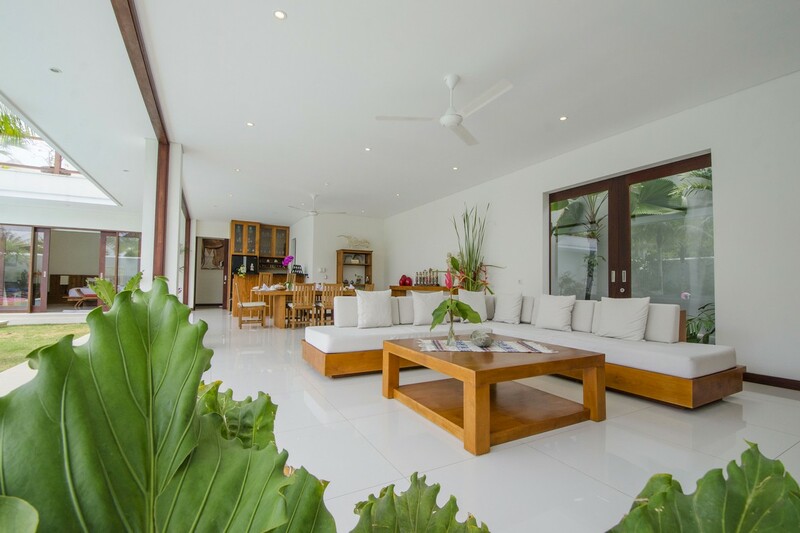 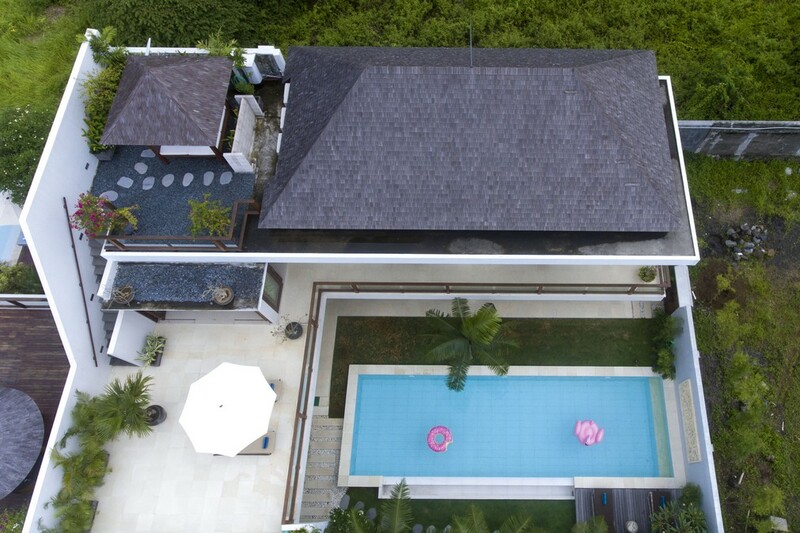 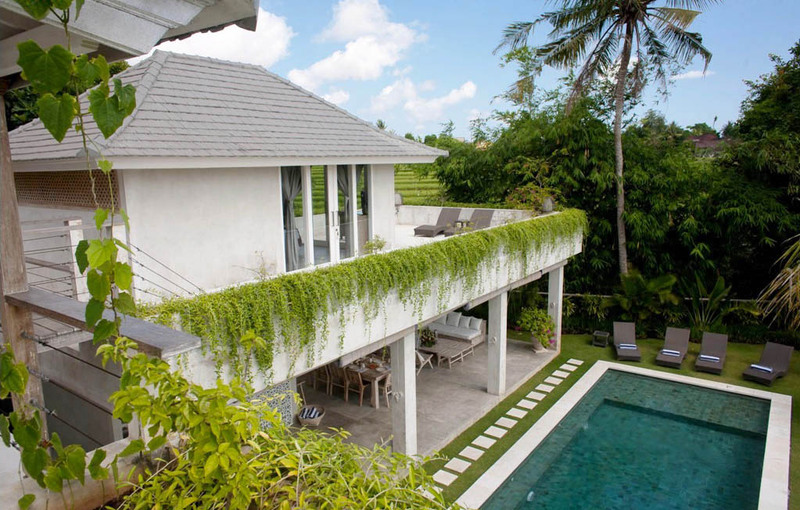 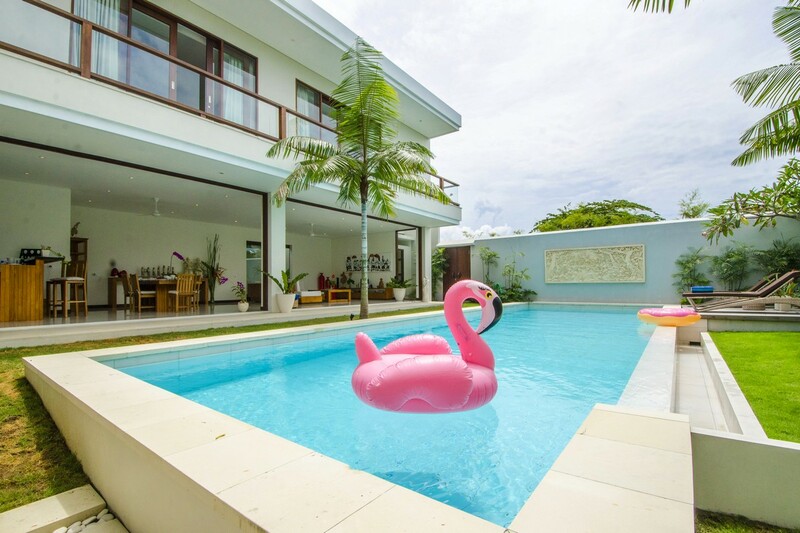 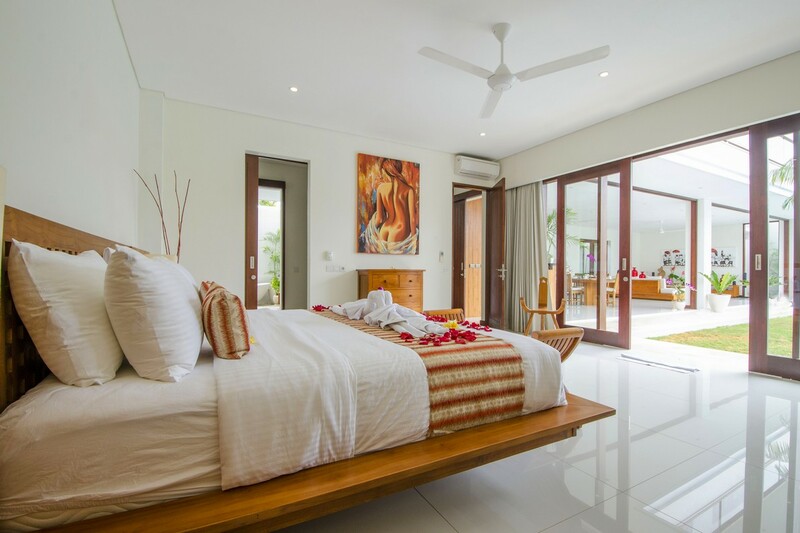 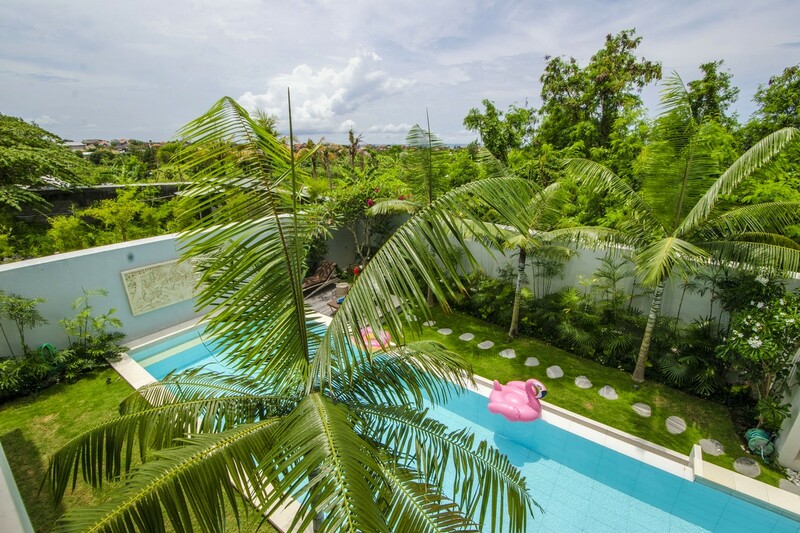 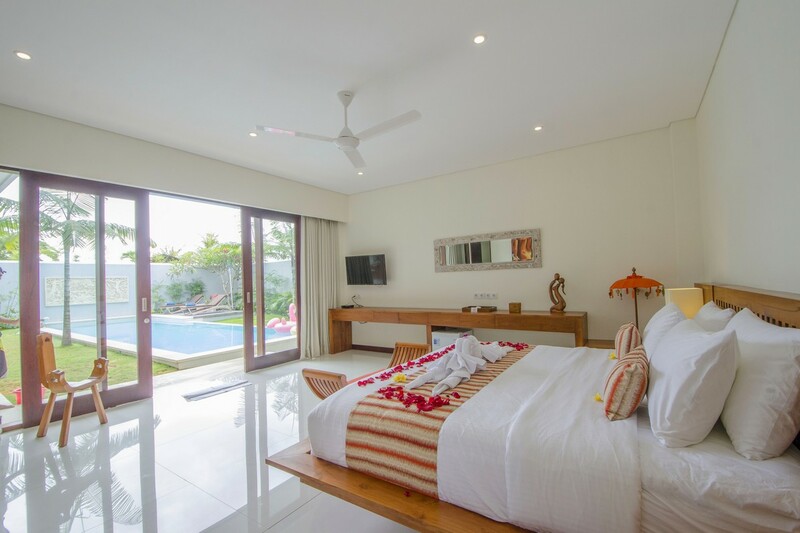 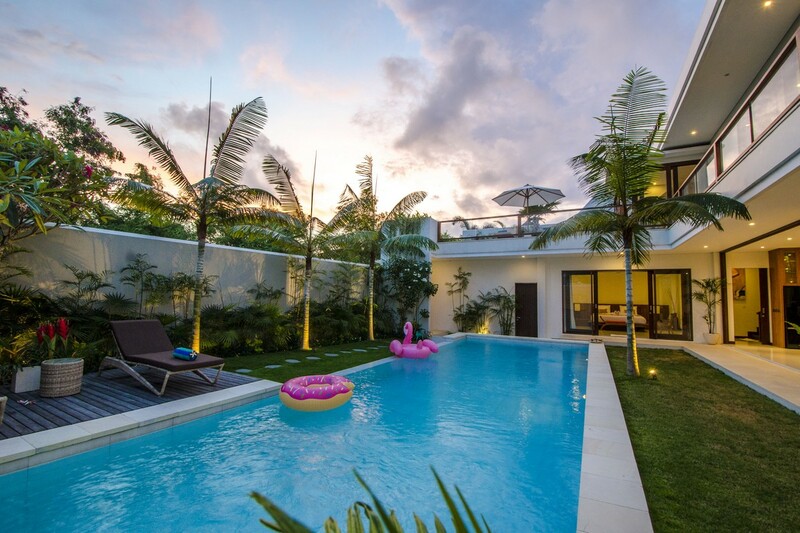 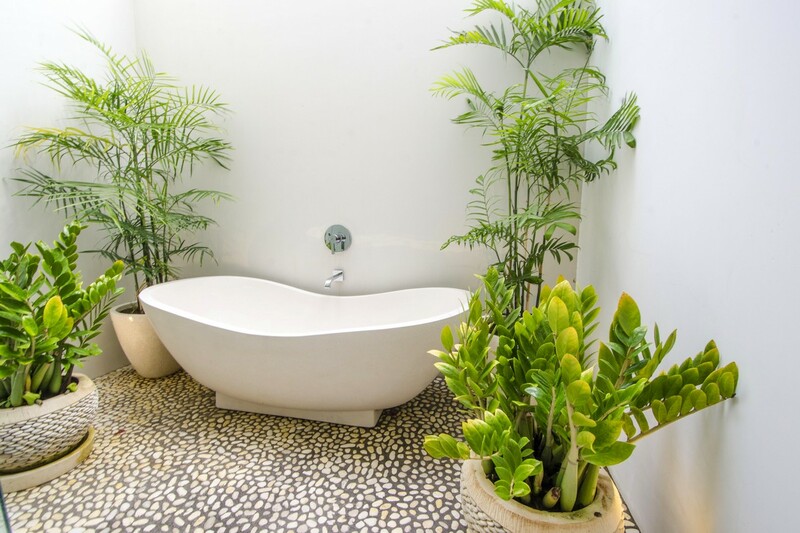 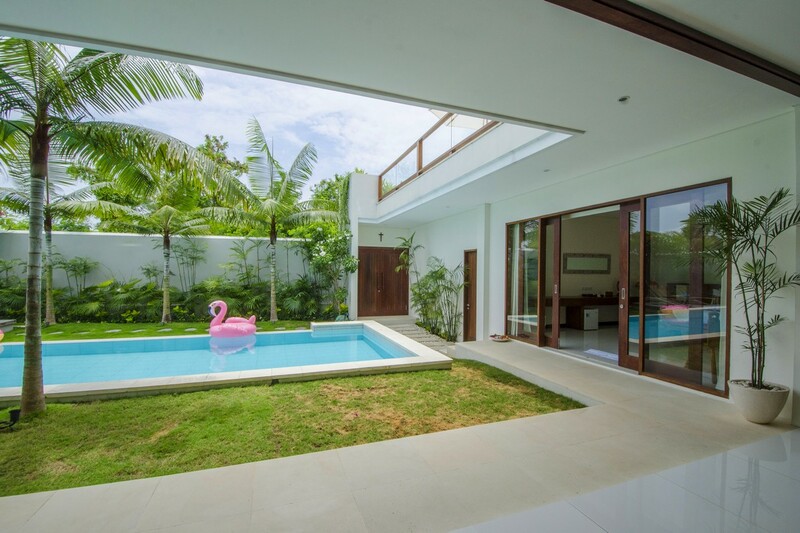 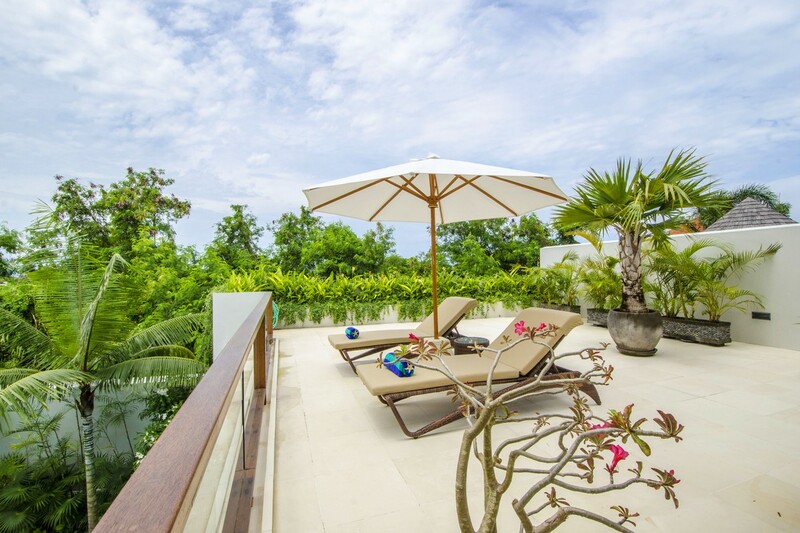 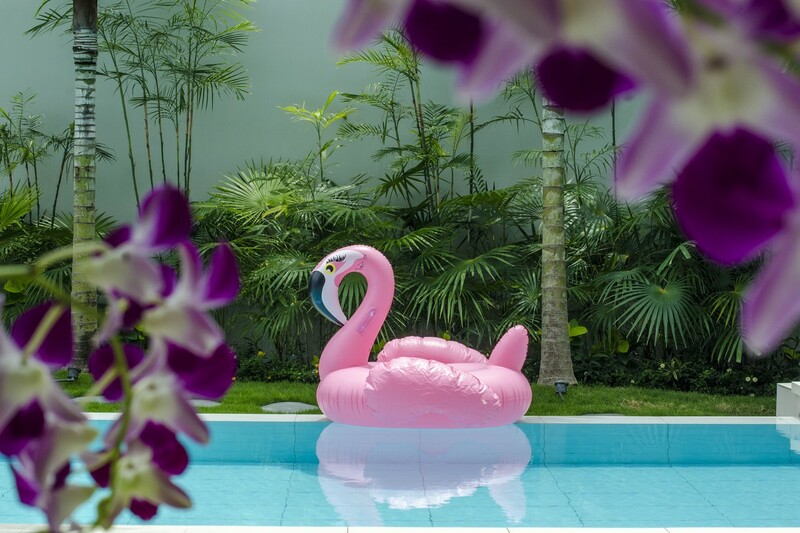 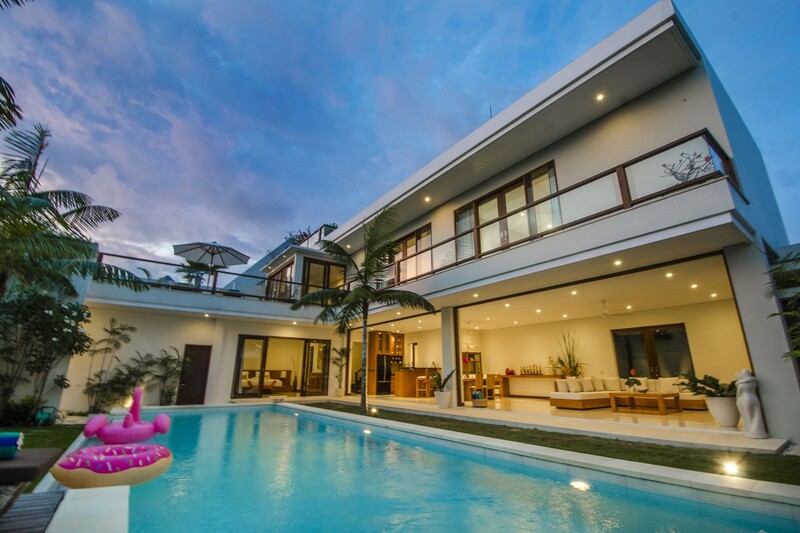 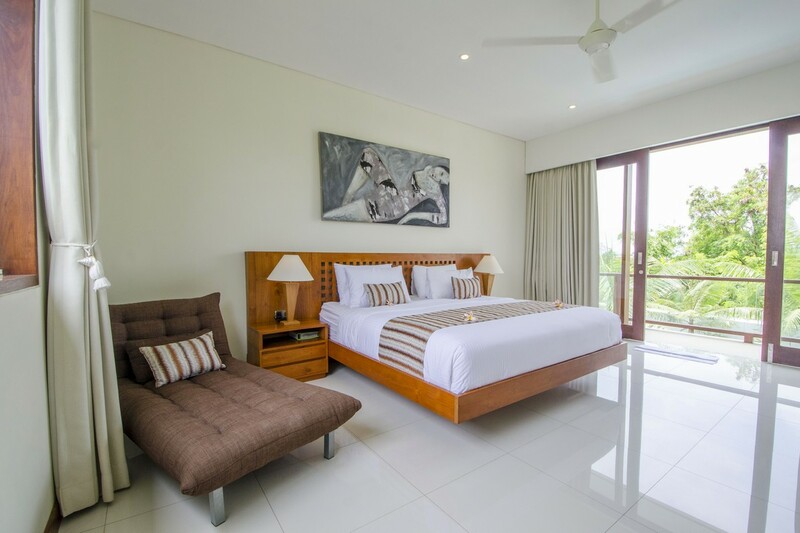 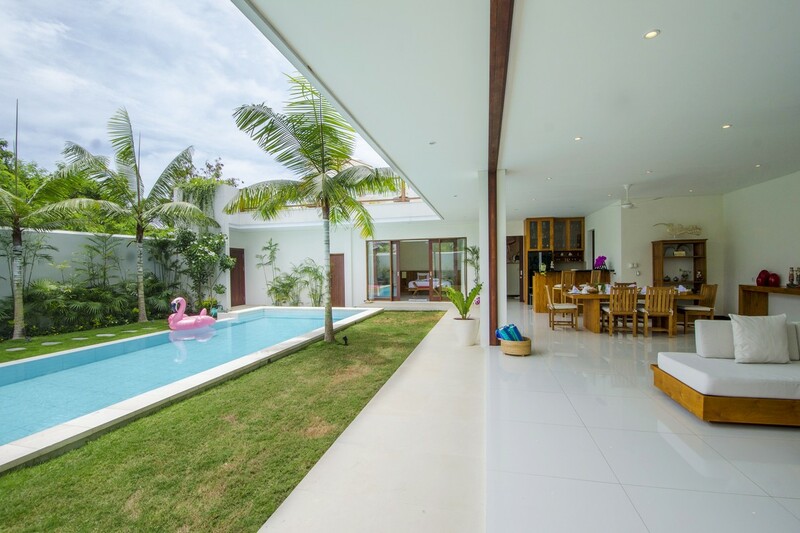 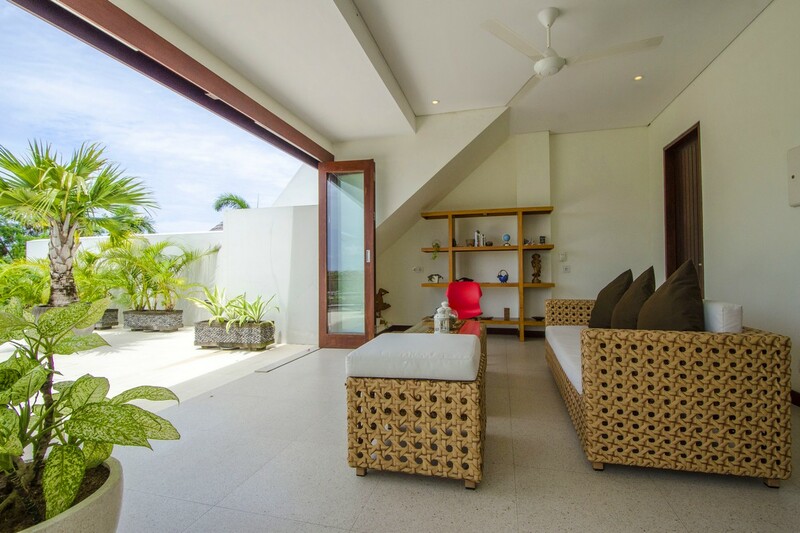 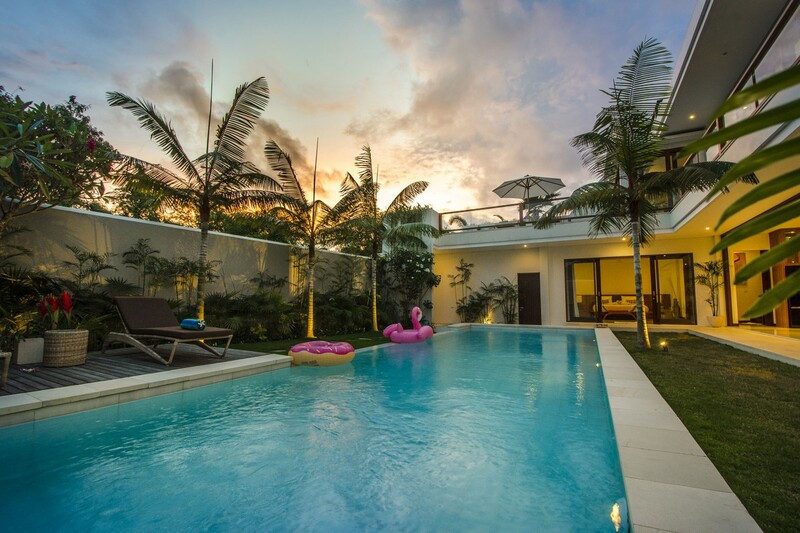 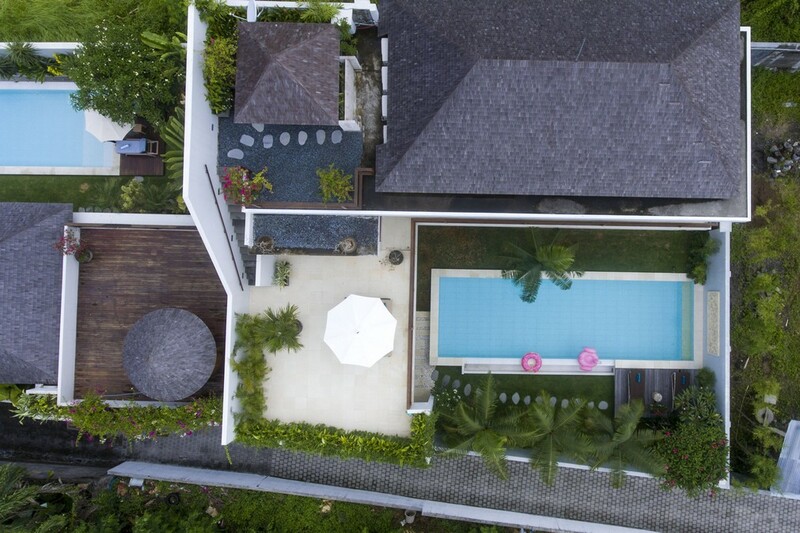 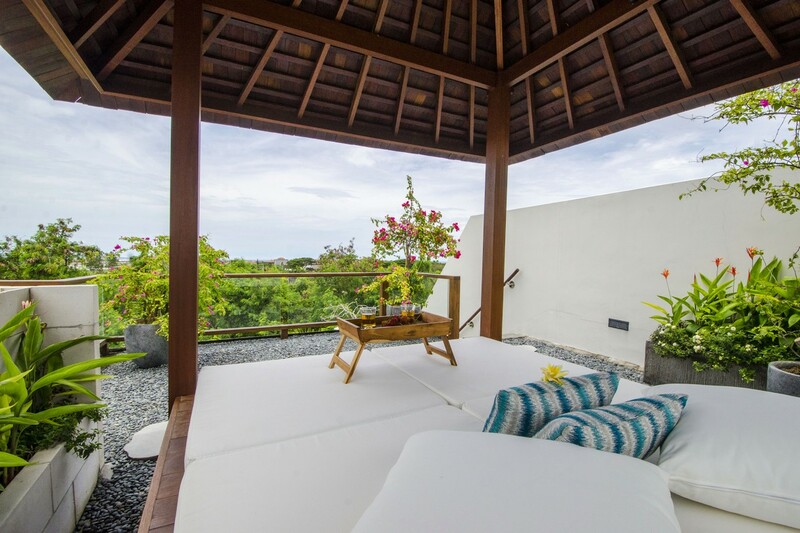 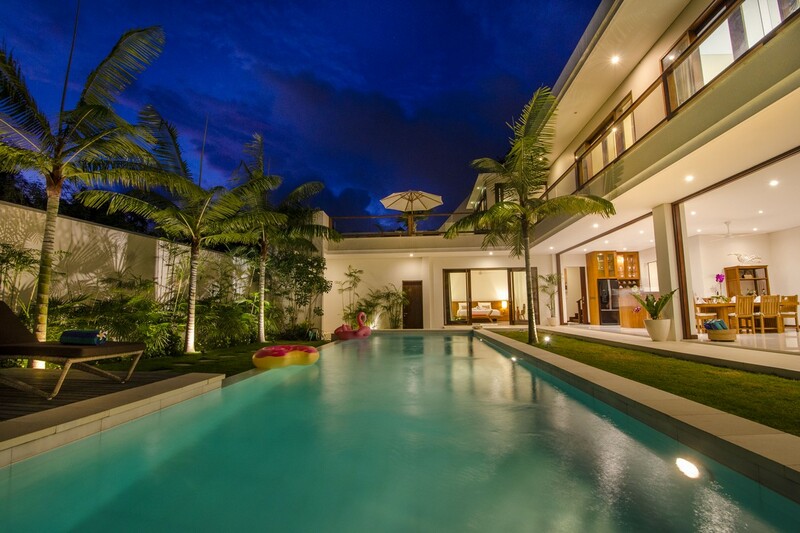 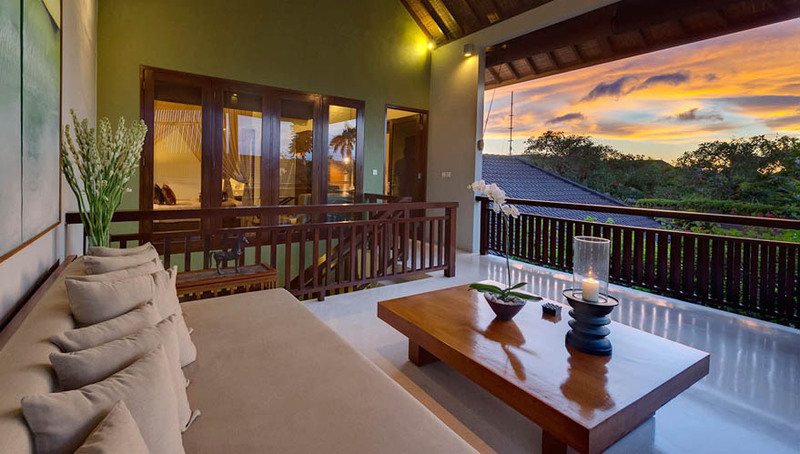 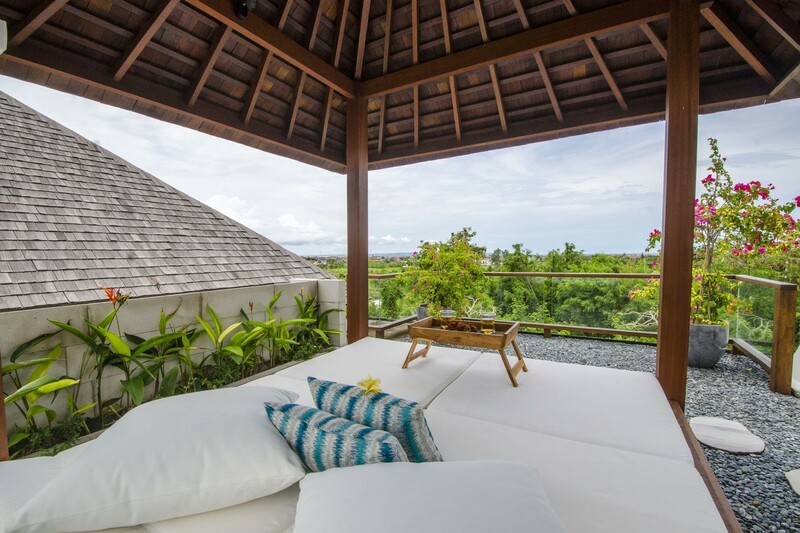 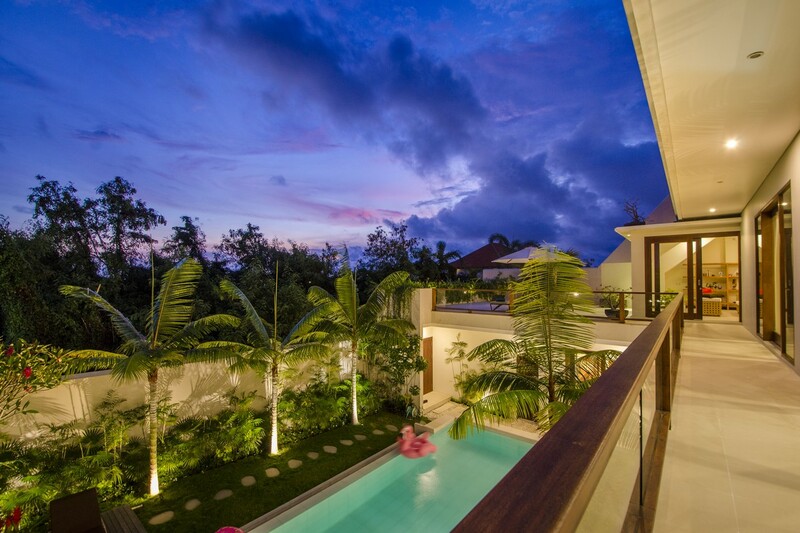 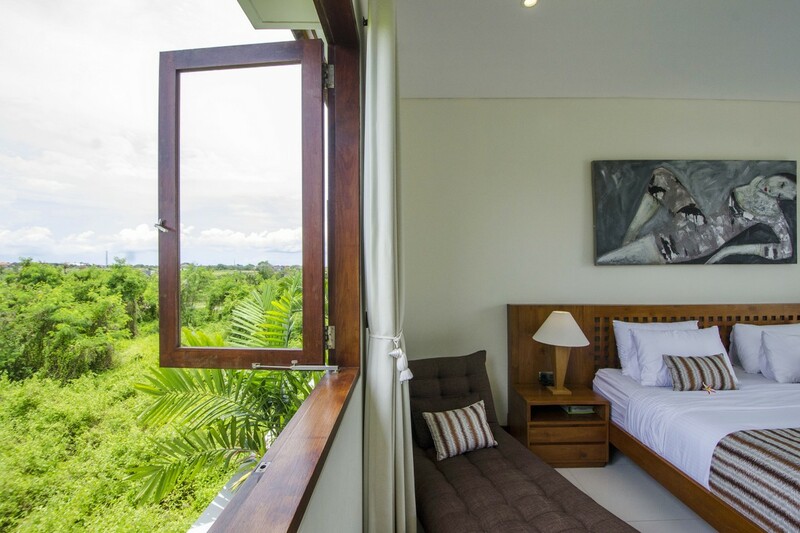 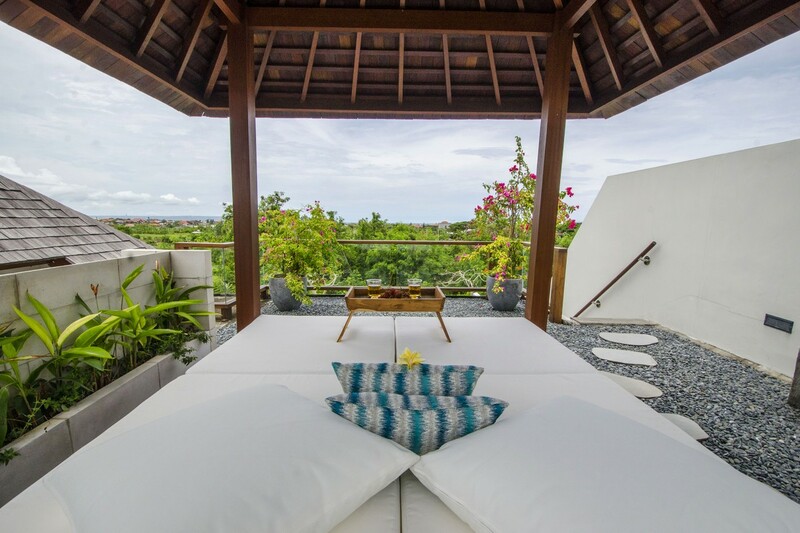 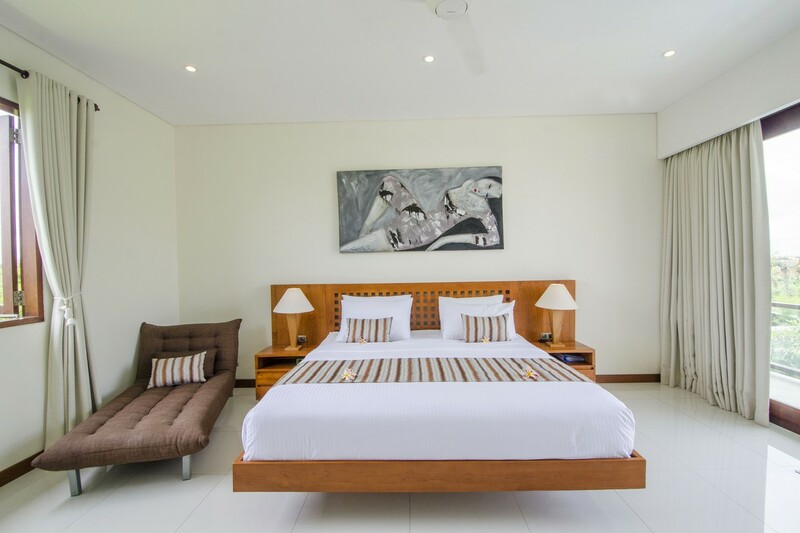 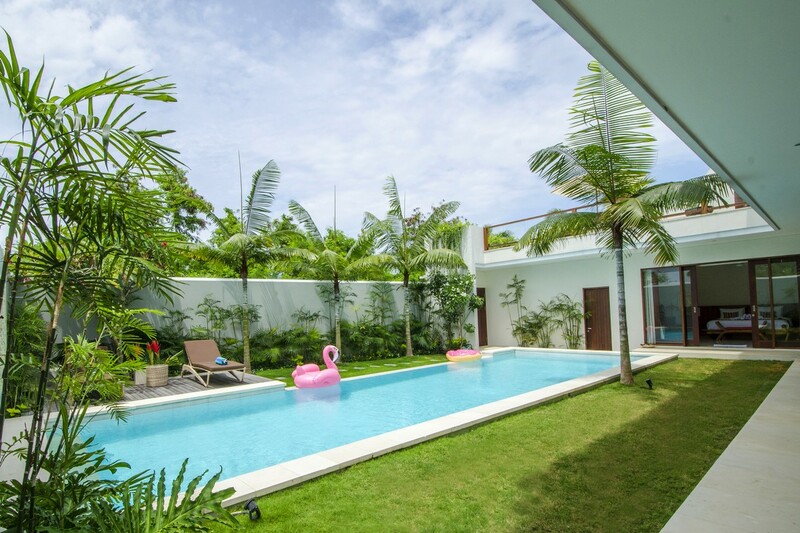 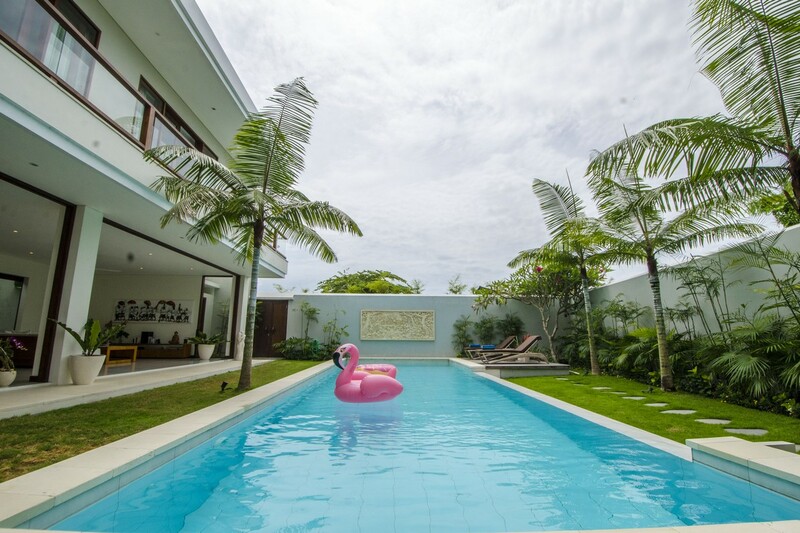 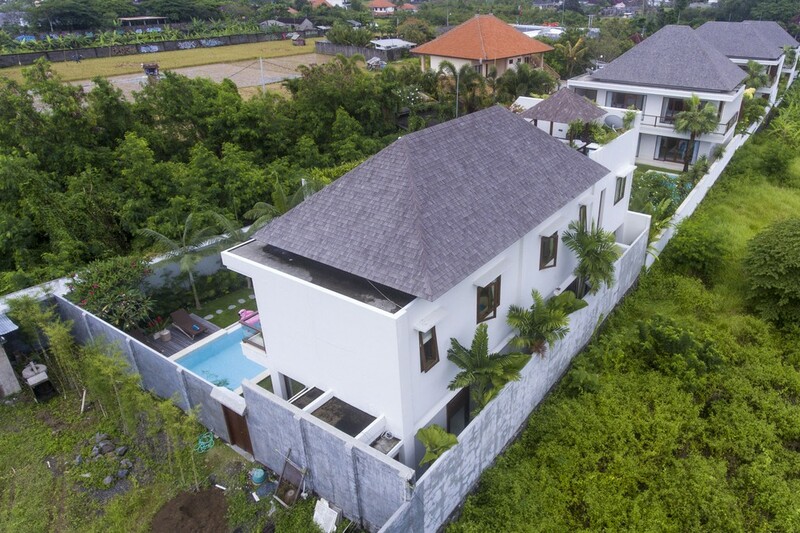 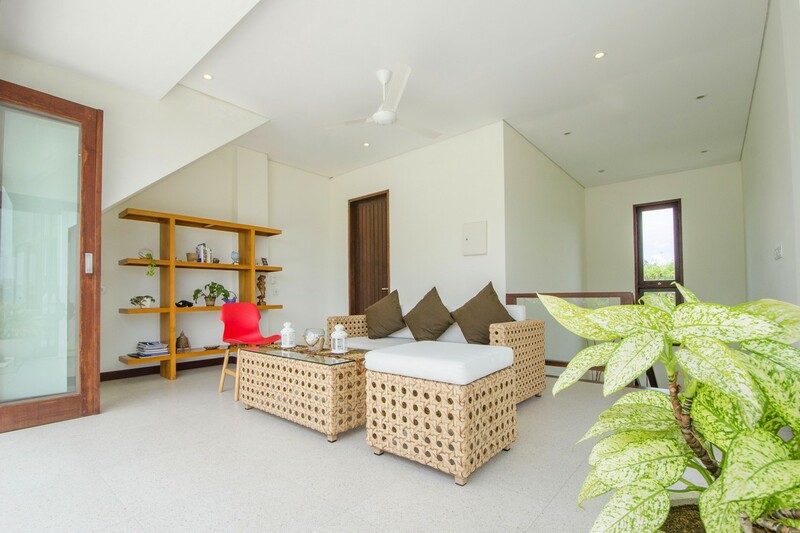 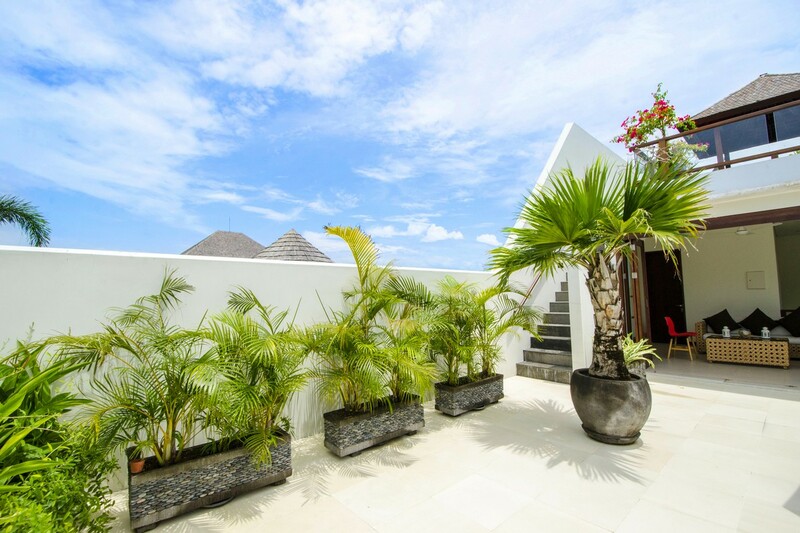 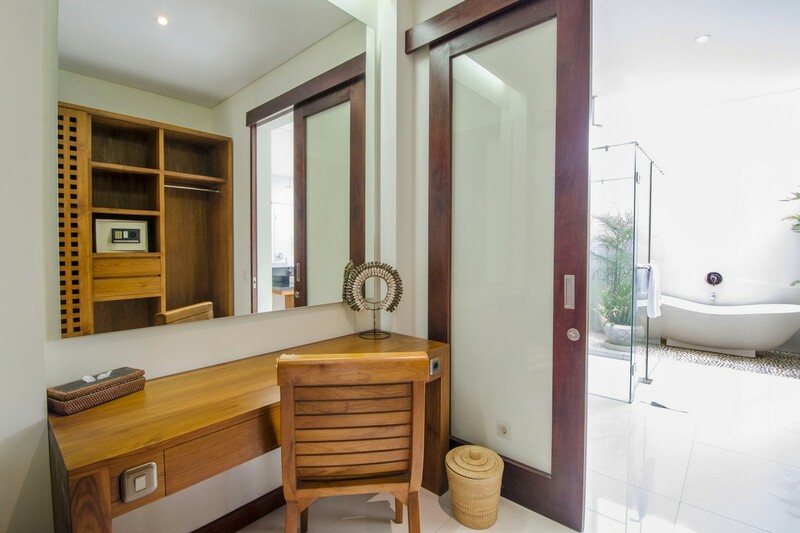 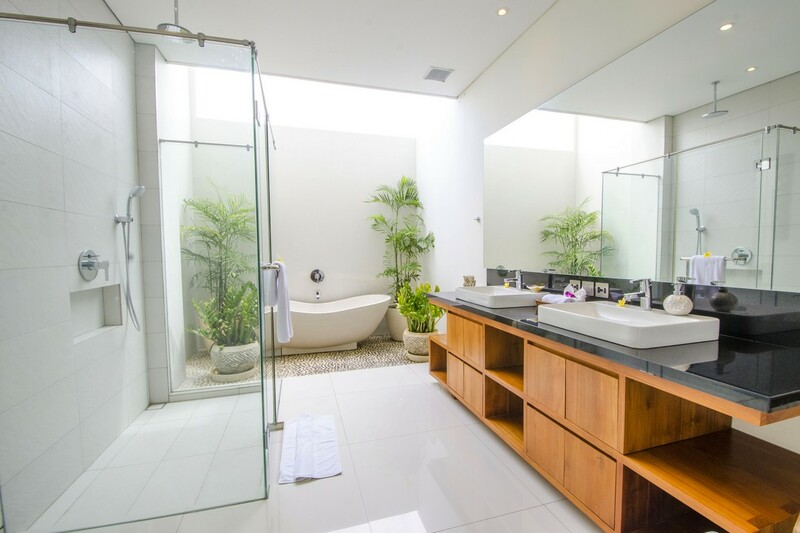 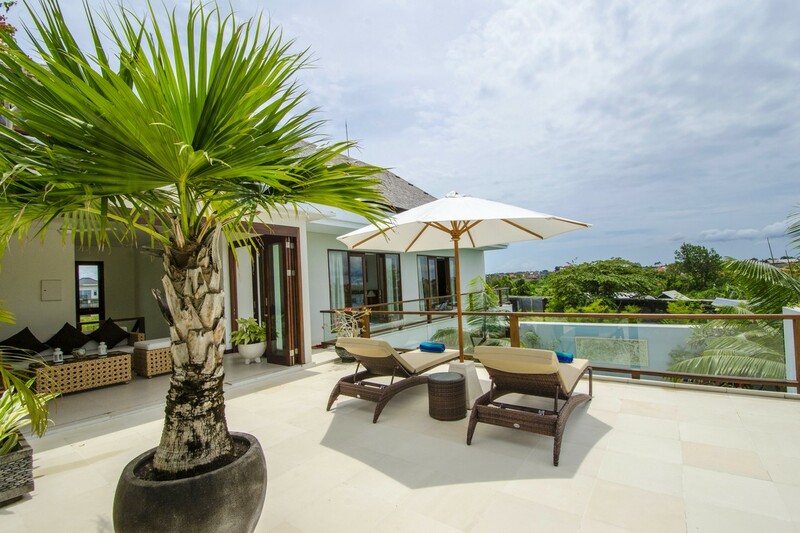 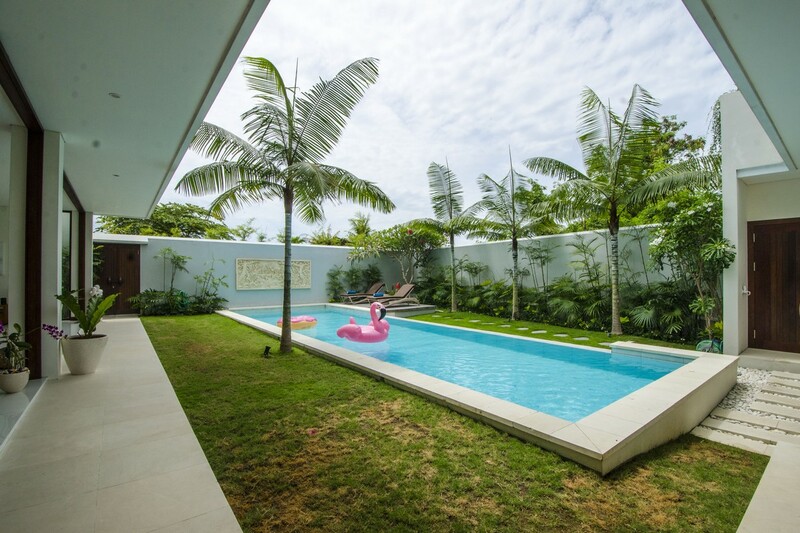 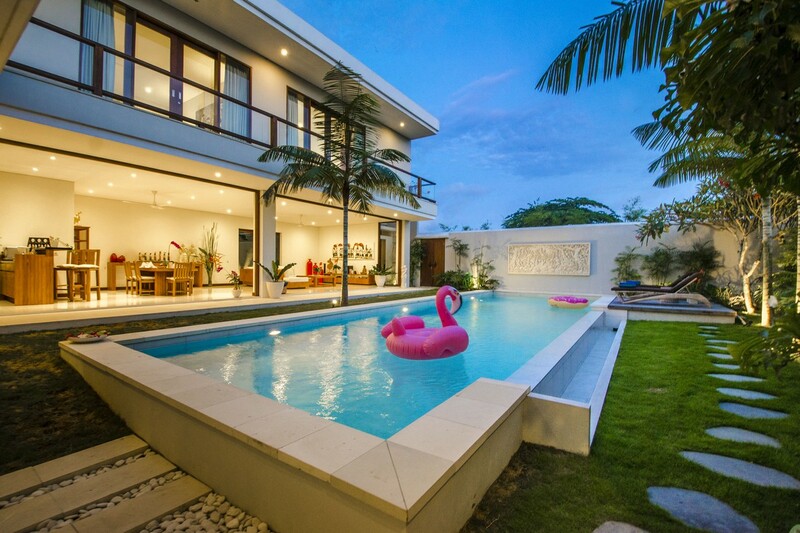 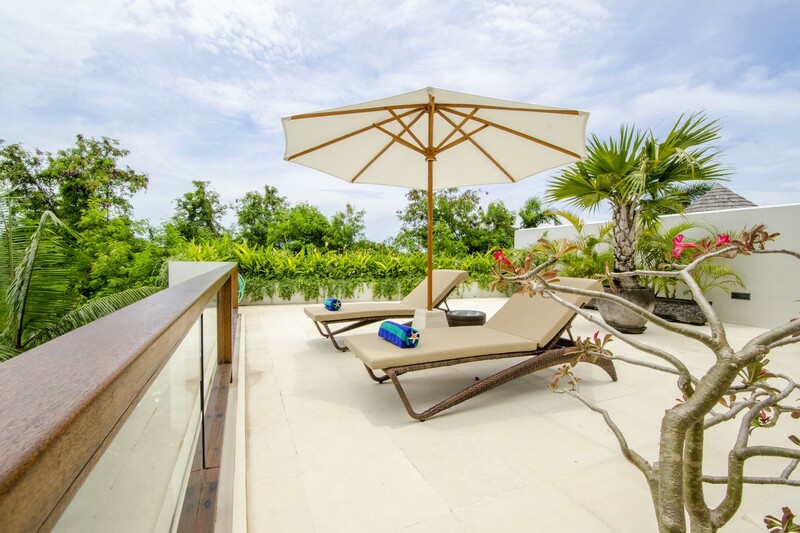 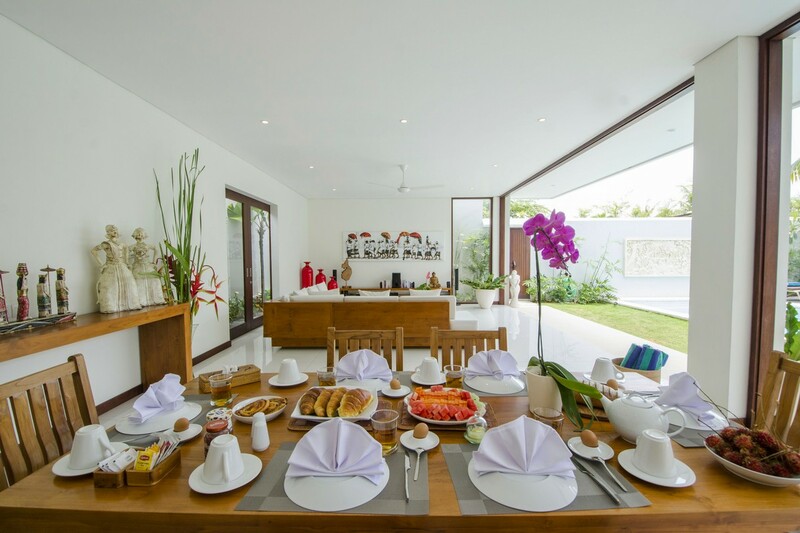 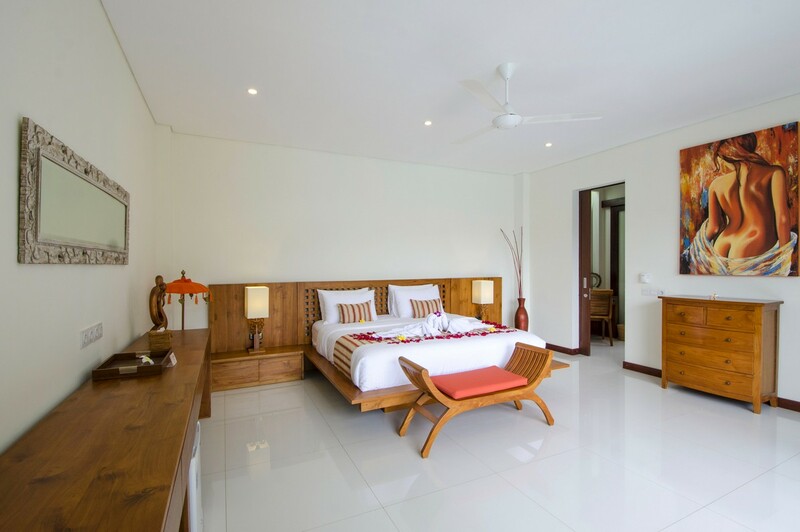 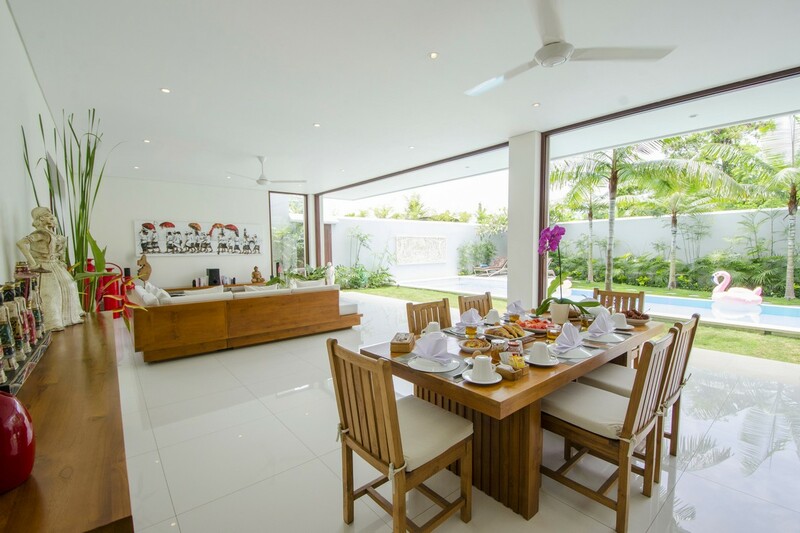 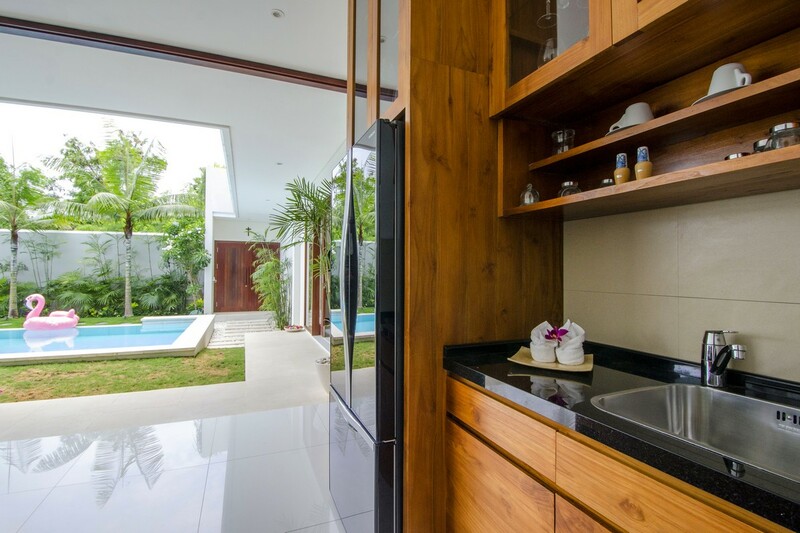 Let us introduce you Villa Agathis, a majestic 3 bedrooms villa located in Canggu area at only 10 minutes from Echo Beach and Batu Bolong beaches, 20 minutes from the living area Seminyak and 40 minutes from the airport. 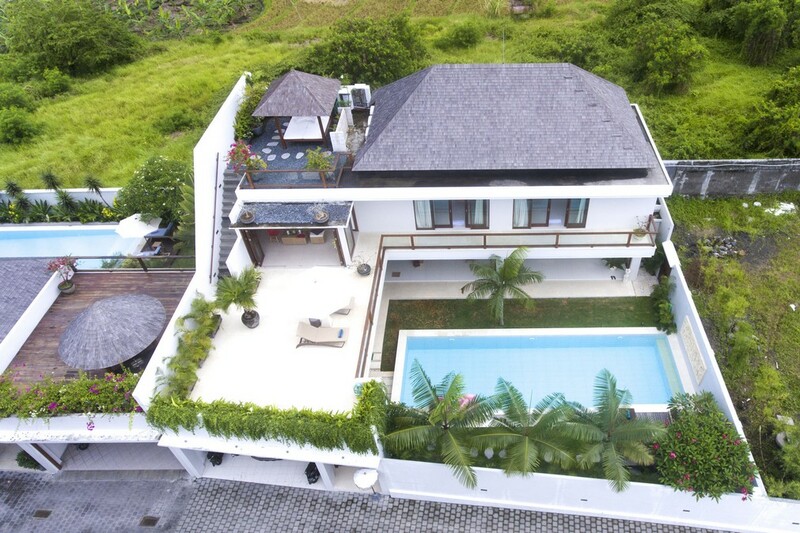 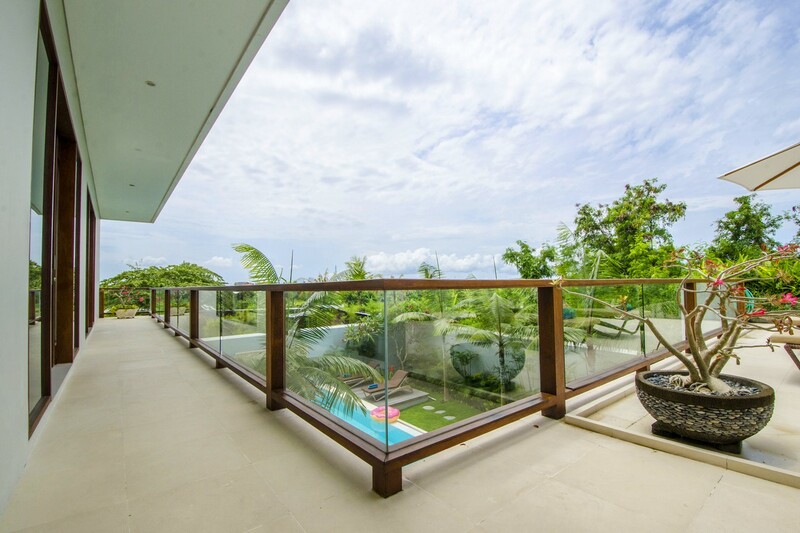 The strategic location of this villa is perfect for surfers or people who wants to be in a living area. 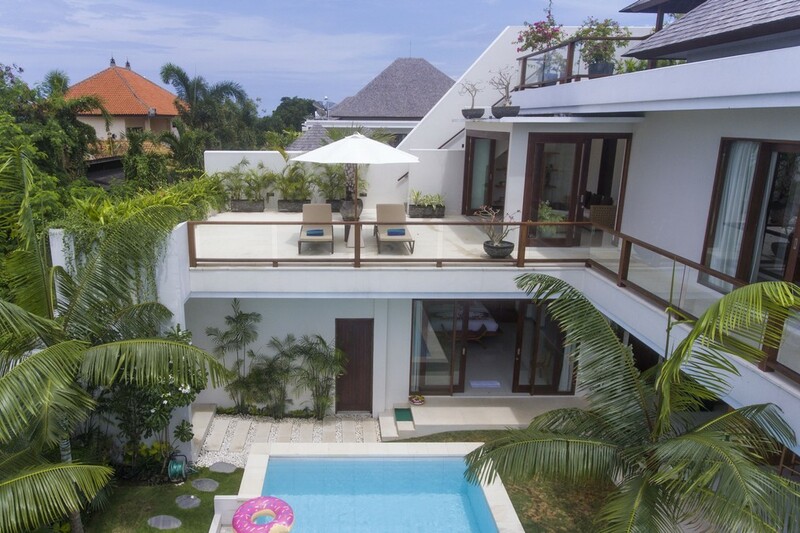 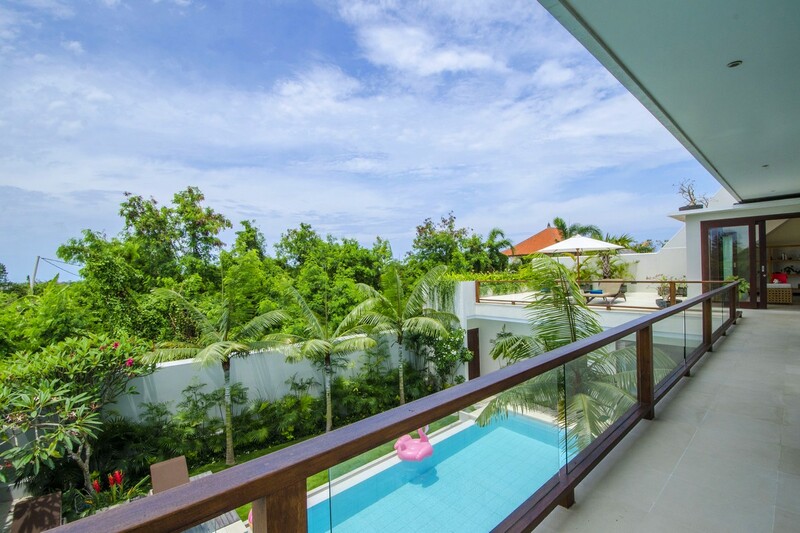 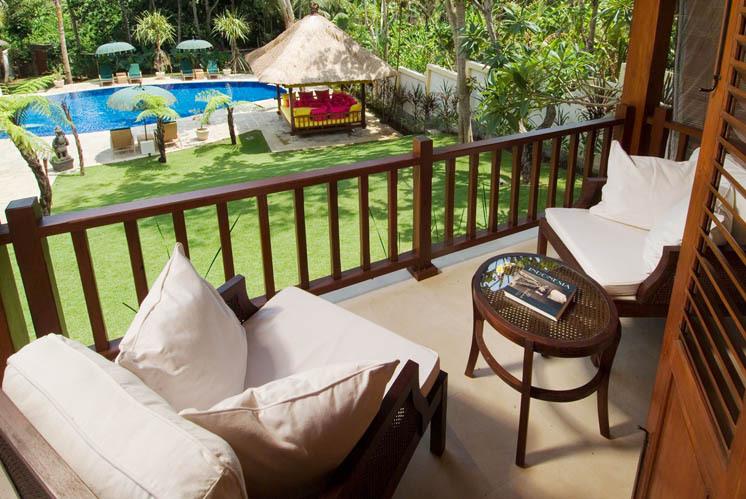 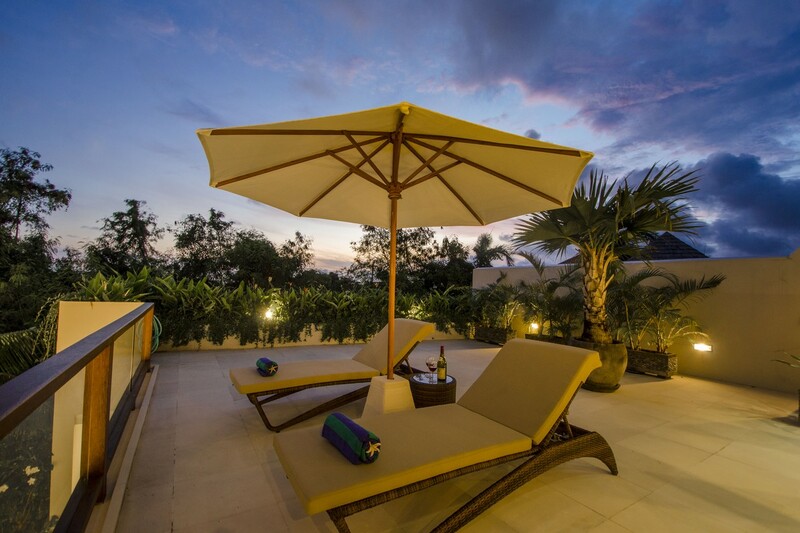 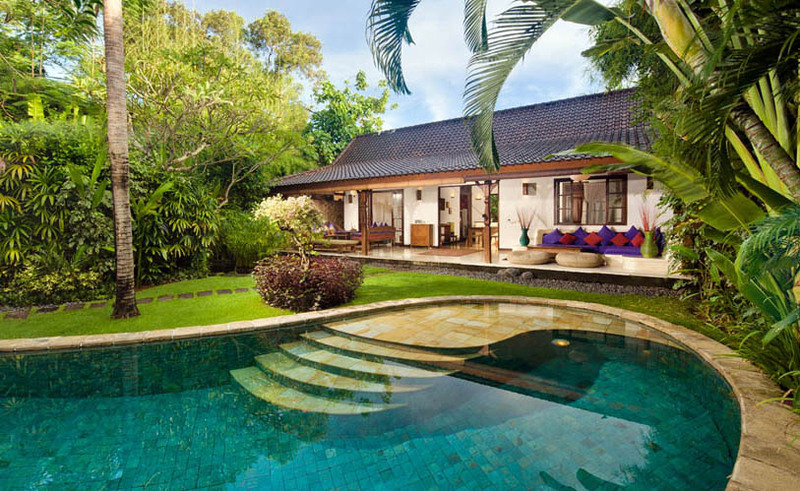 Indeed, this huge villa is absolutely lovely, it can hosts up to 6 people. 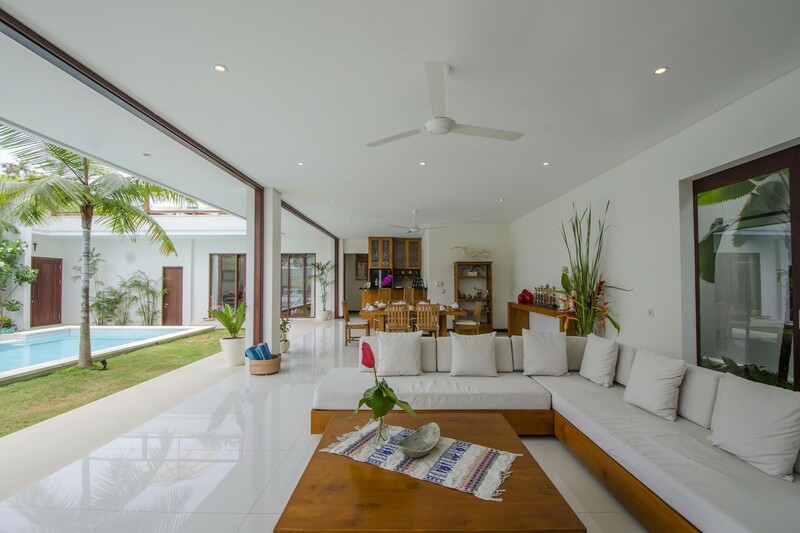 The living room is facing the big swimming pool and the tropical garden and it opens on the outside, it gives to this villa a true charm. 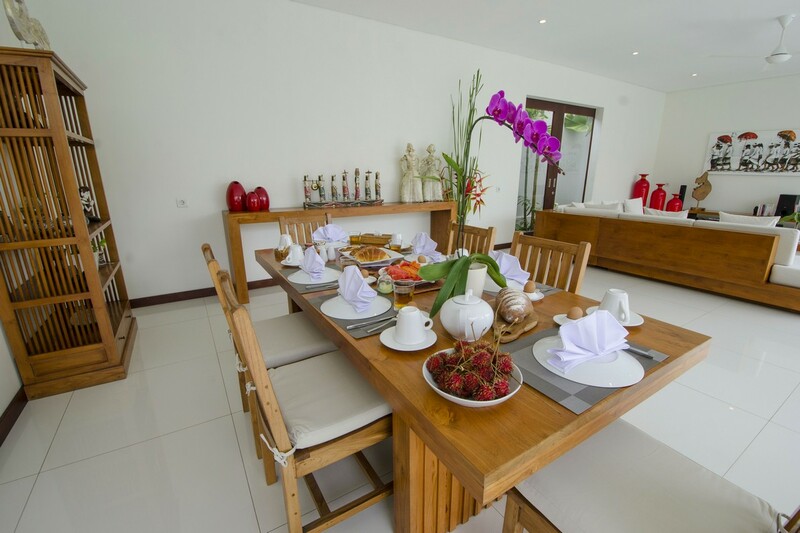 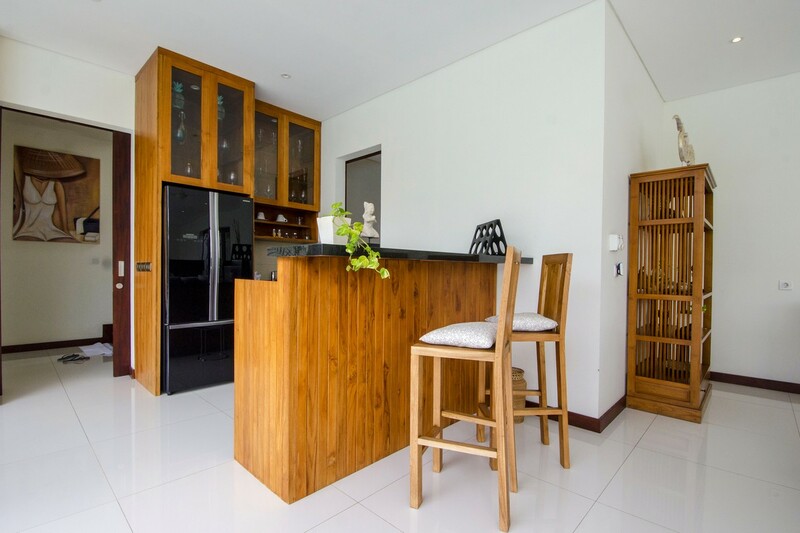 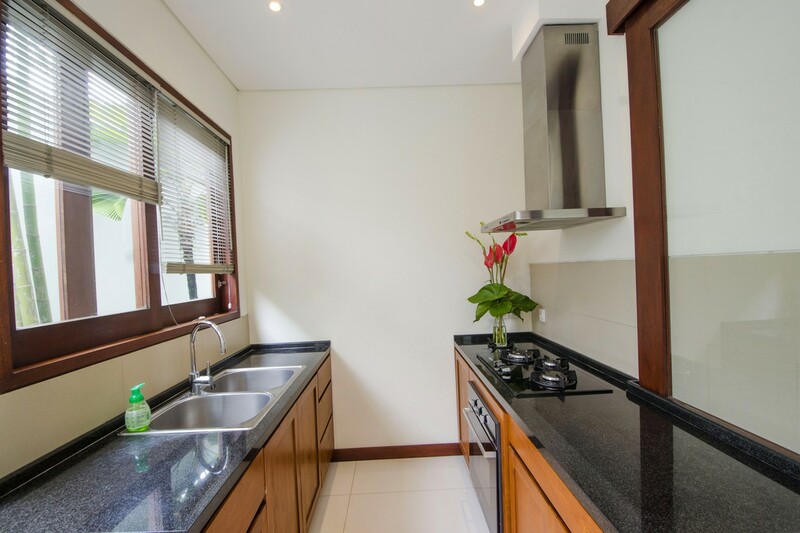 A fully furnished kitchen is situated on this room with a large dining table for 6 people. 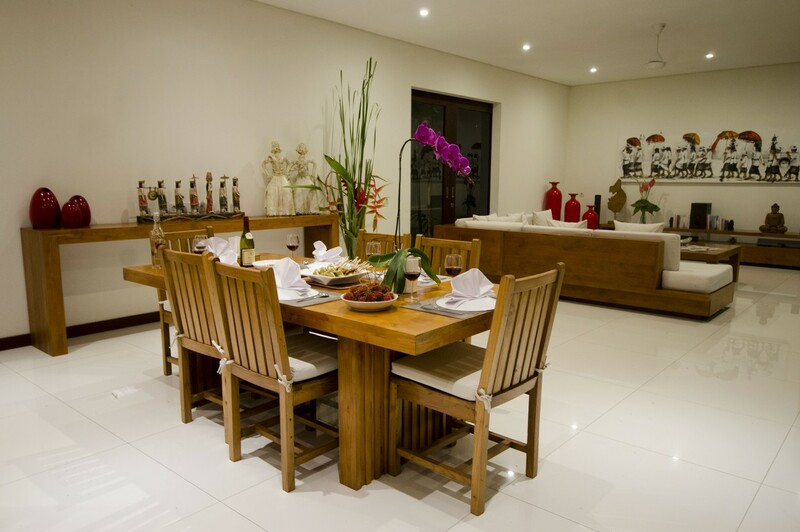 You will enjoy the beautiful sofa to take an aperitif with your family or your friends. 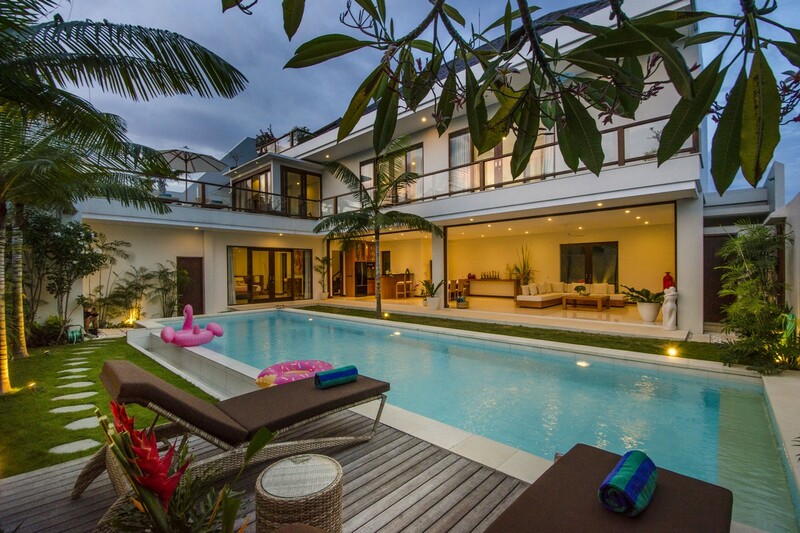 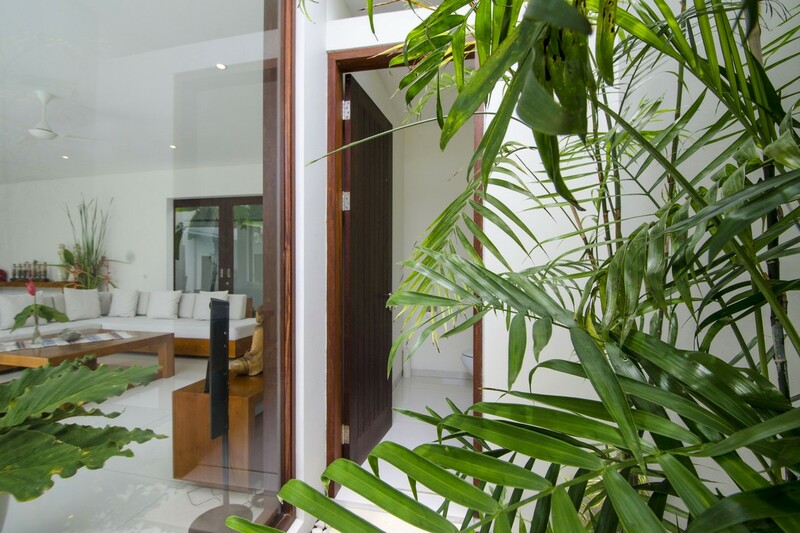 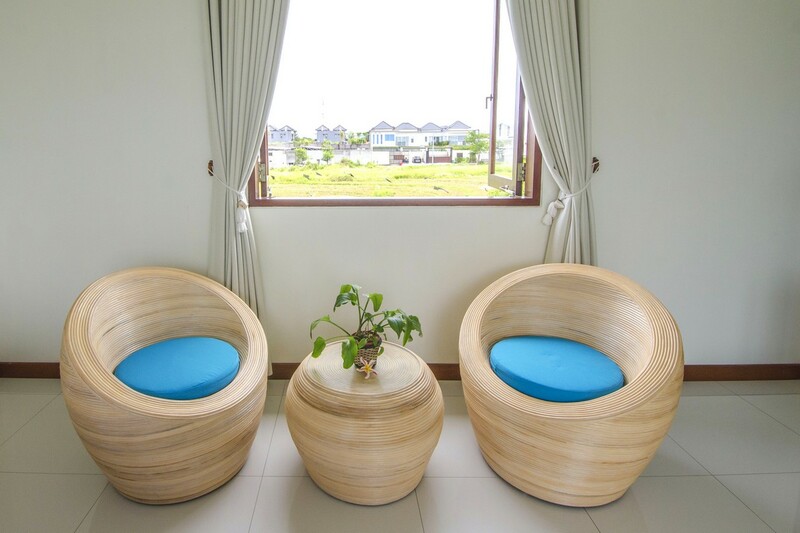 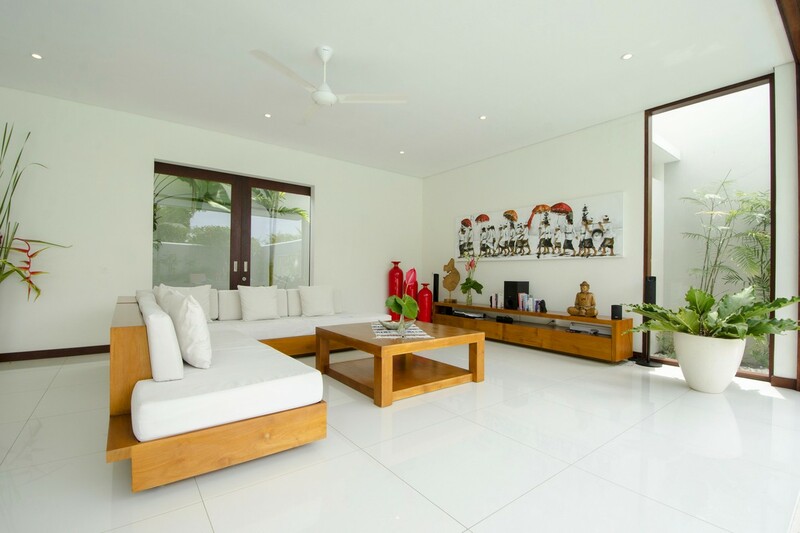 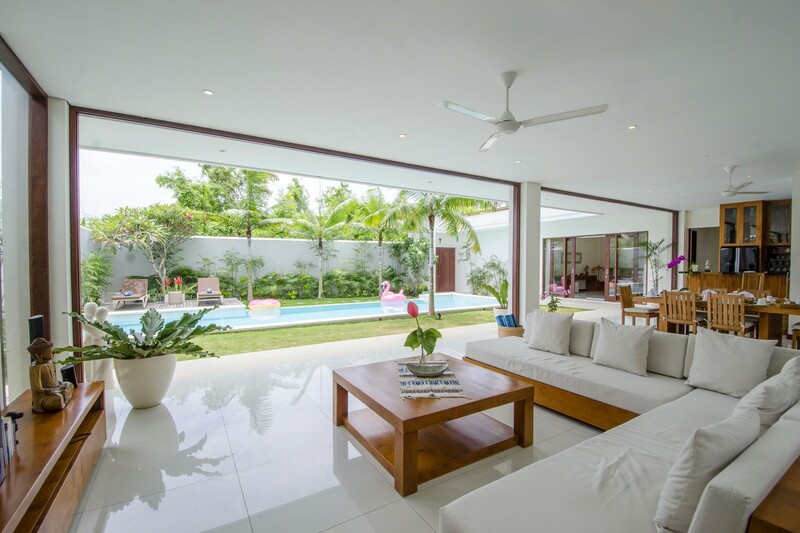 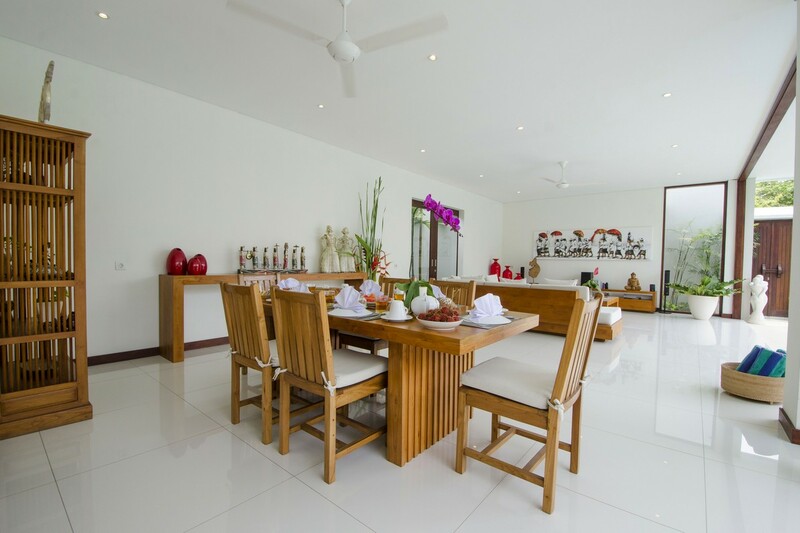 This villa is decorated in a modern way, with lovely furnitures choose with great taste. 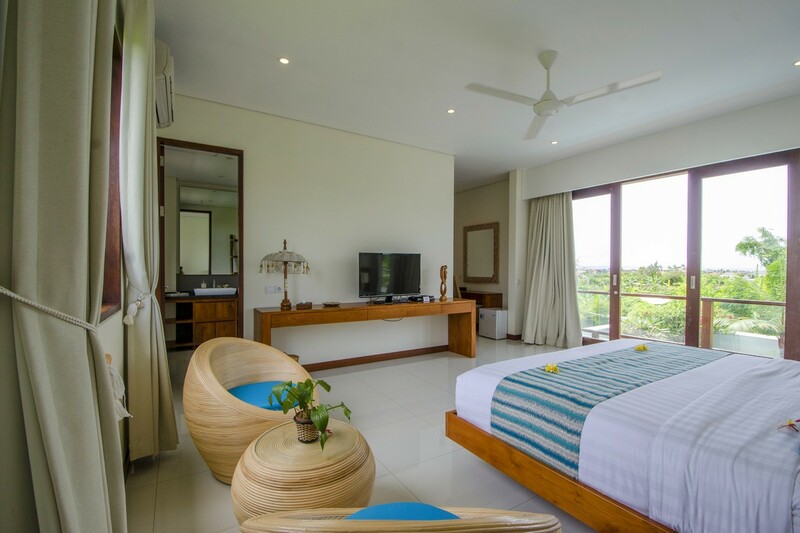 WIFI is available in every rooms, a TV with satellite and a hand phone with a local sim card are also included. 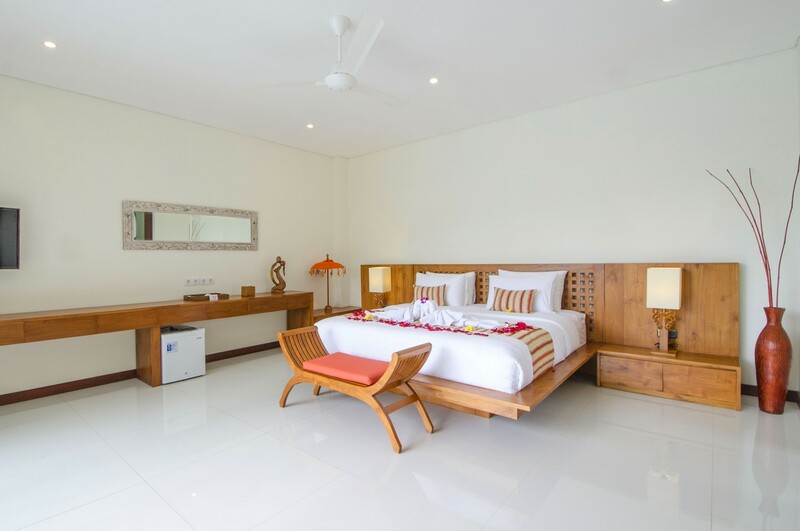 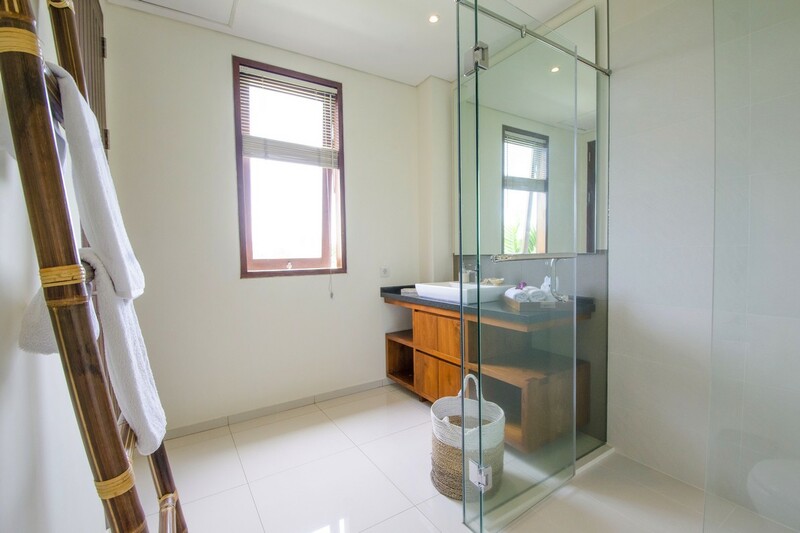 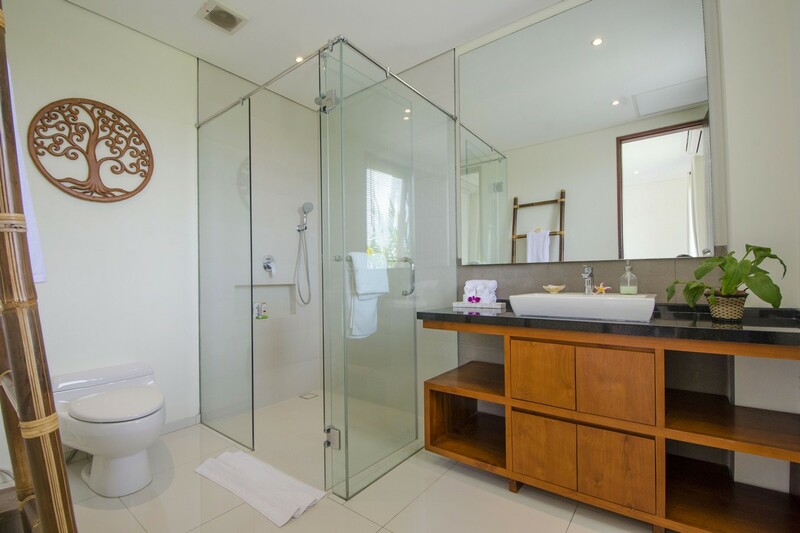 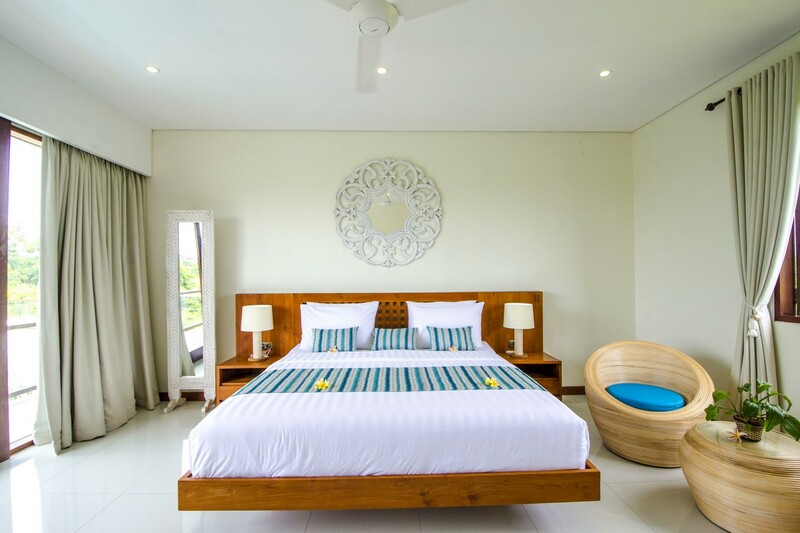 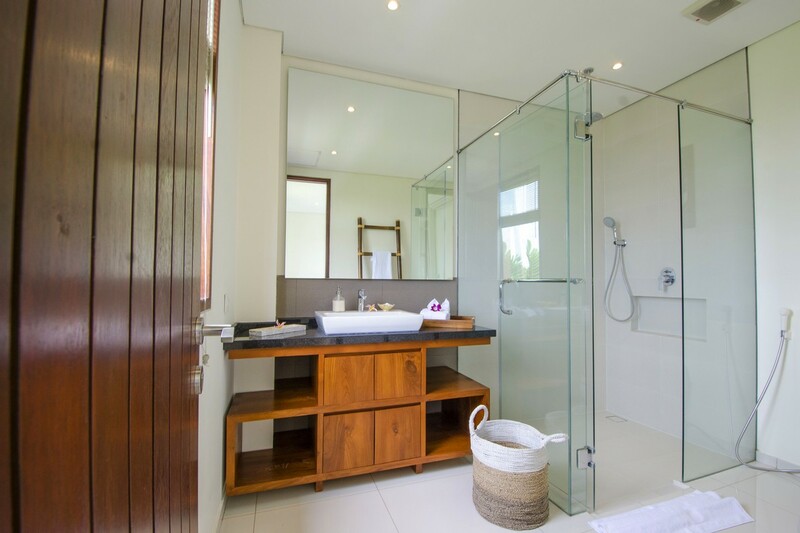 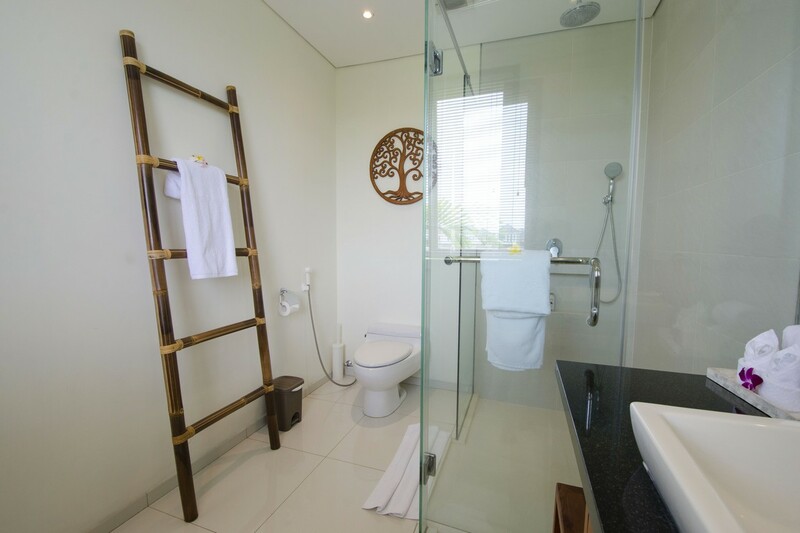 In the same floor, you will find the master room with a king size bed and a incredible open air bathroom with a luxurious bathtub. 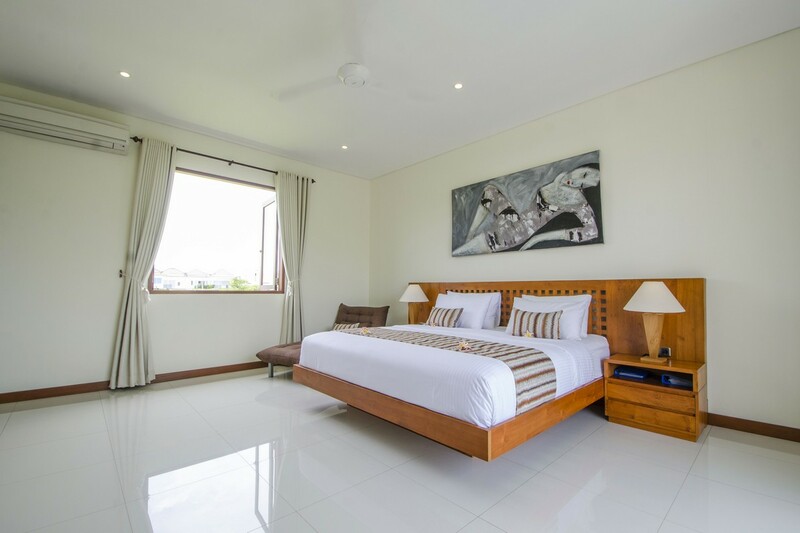 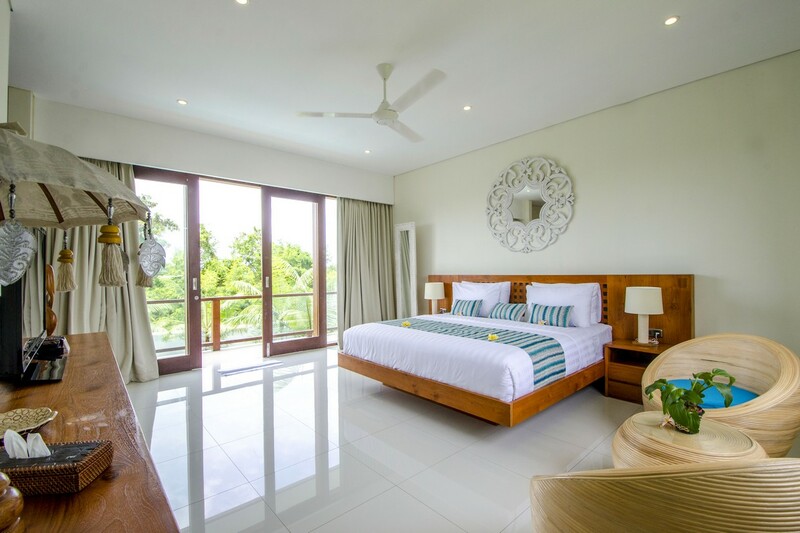 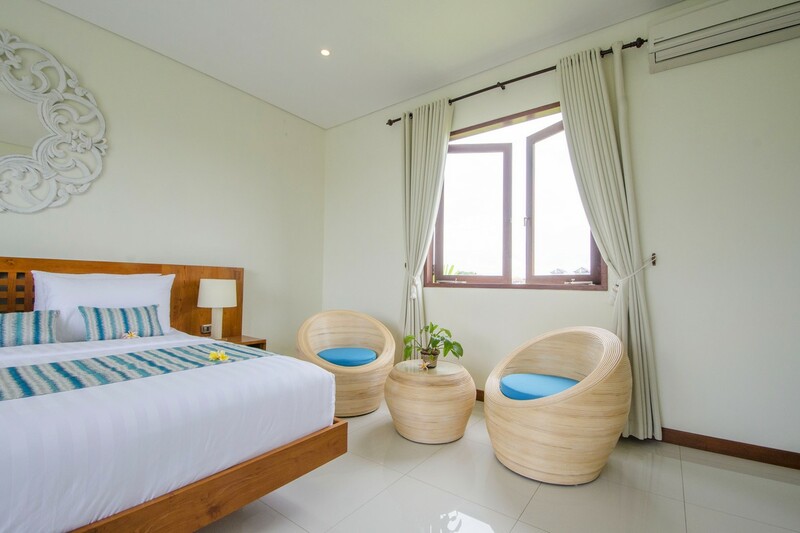 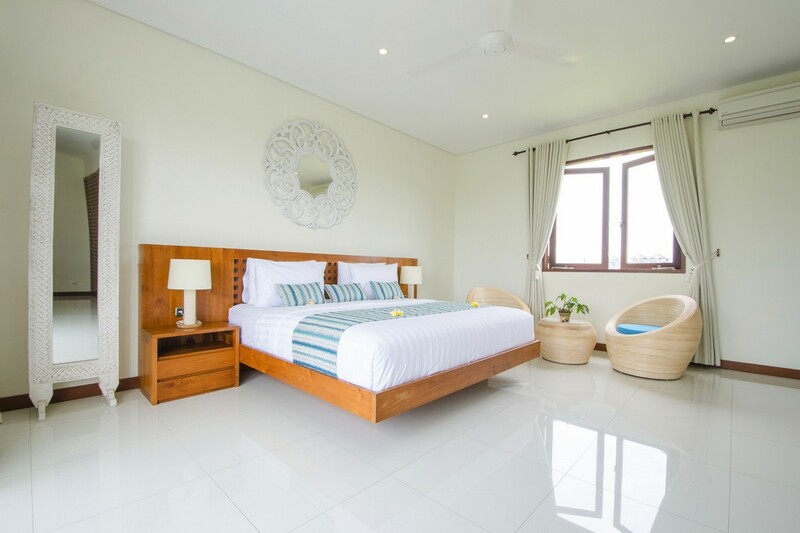 The two others bedroom are located in the second floor, with king size beds also and bathrooms with big showers, they have a direct view on the garden by the large windows and a charming balcony. 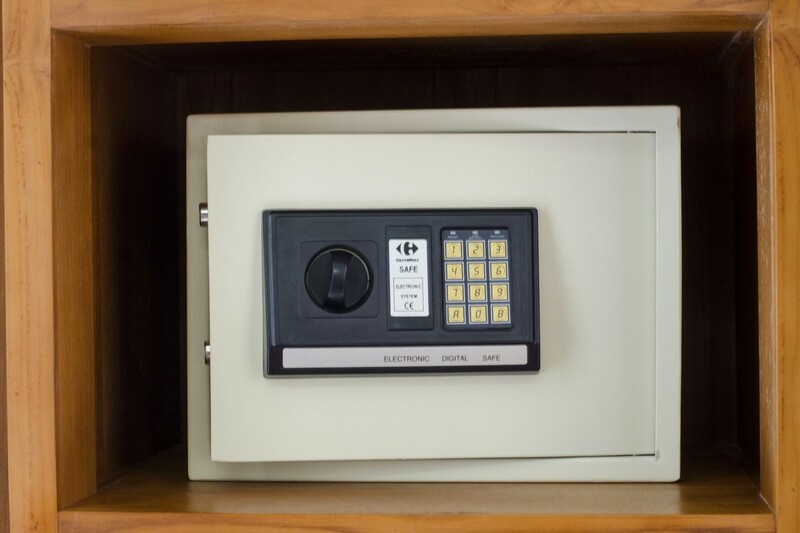 A safety box is put at your disposal in every bedrooms. 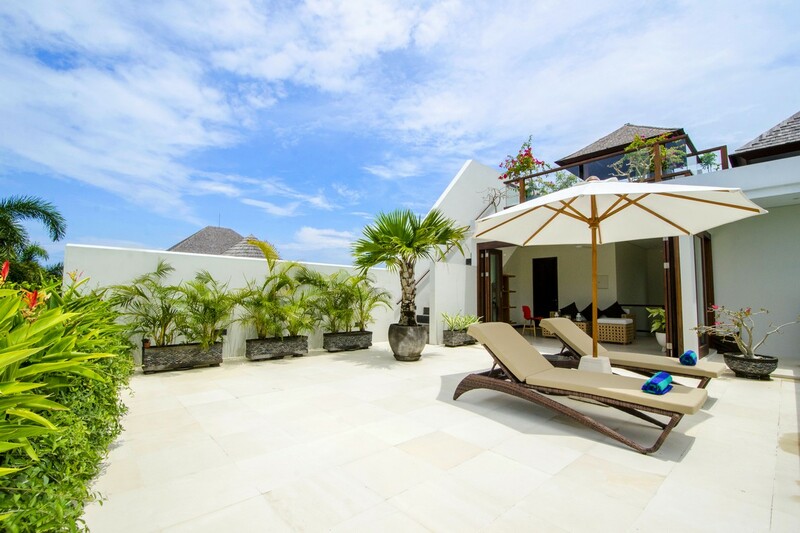 A very spacious terrasse situated also in this floor will allow you to relax on the sunbeds with delicious cocktails. 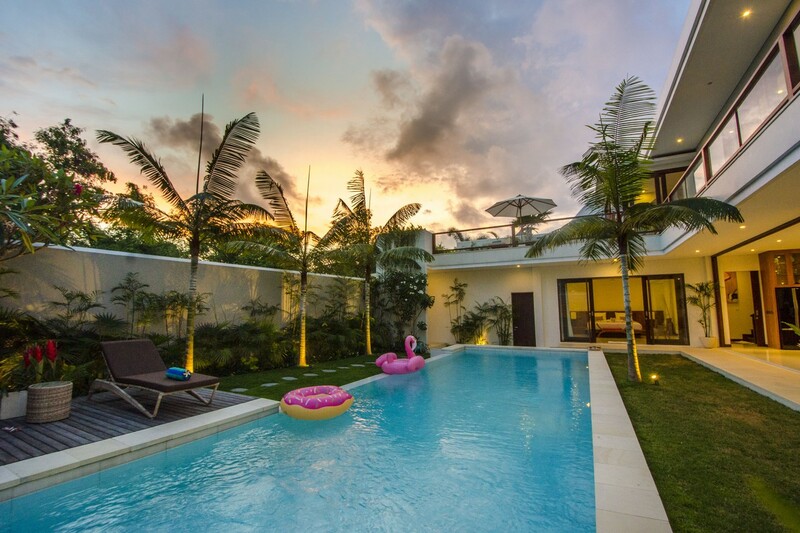 Palm trees in the garden are giving you the feeling to be in holidays throughout the year, it's magic ! 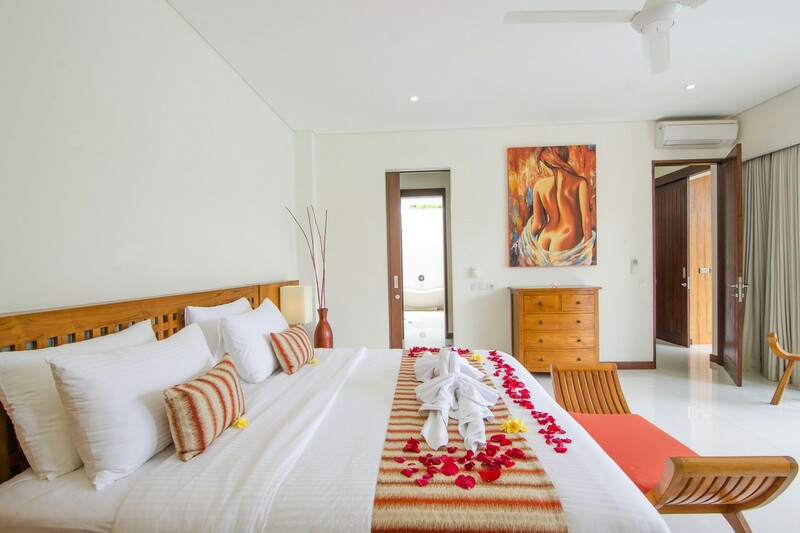 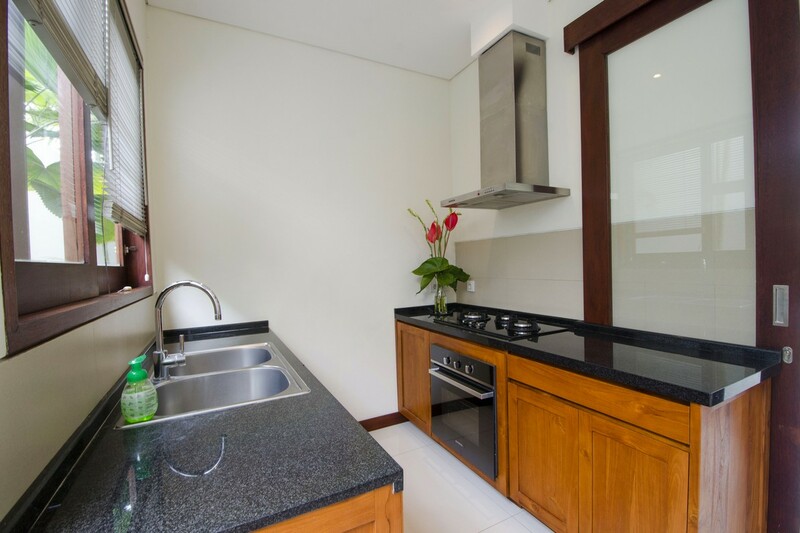 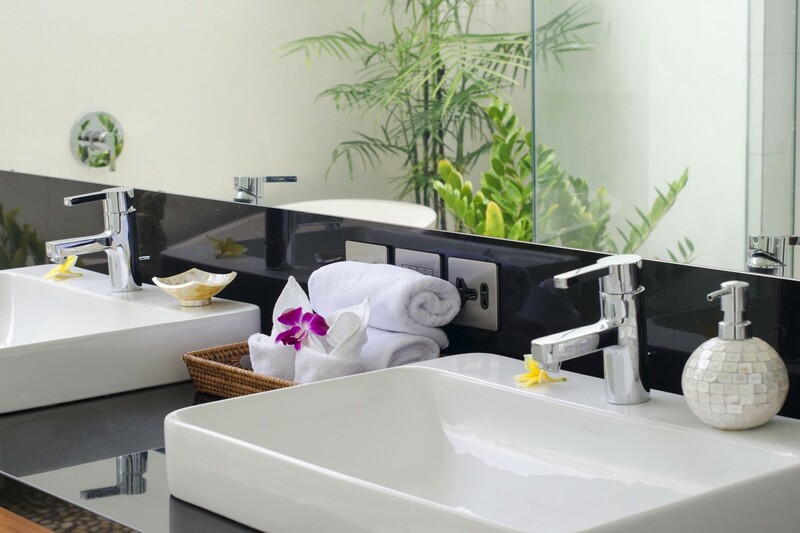 In Villa Agathis during your vacation you will have services included, like the daily housekeeping with our lovely maid who will take care of your holidays and a driver will be waiting for you at your arrival at the airport to take you directly at Villa Agathis. 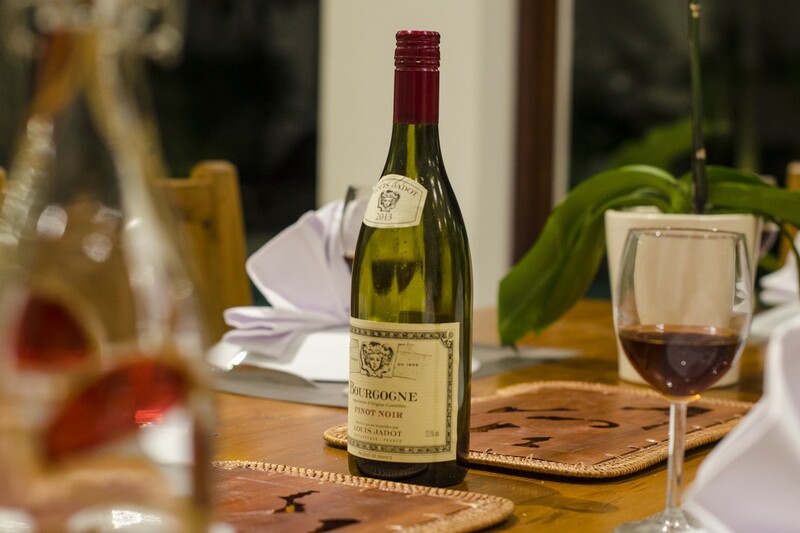 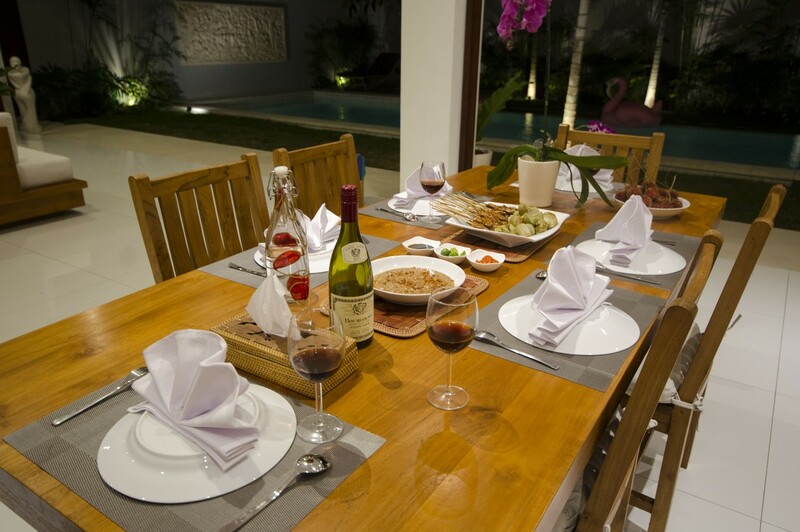 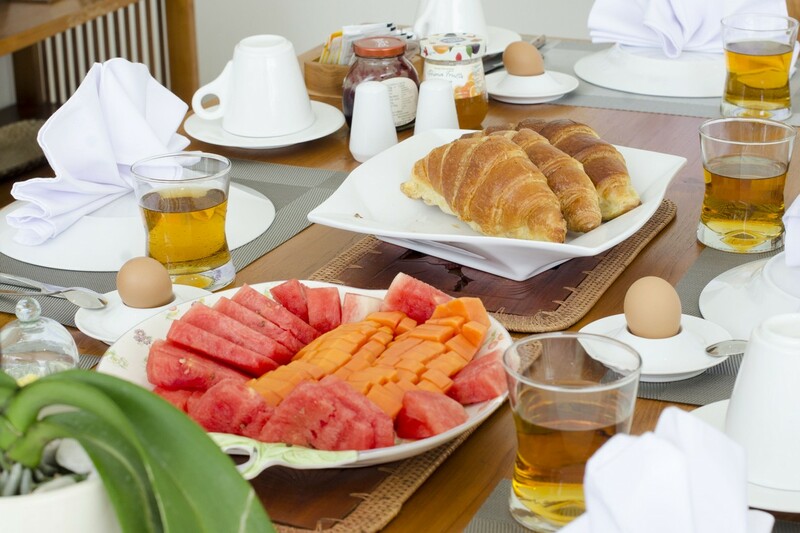 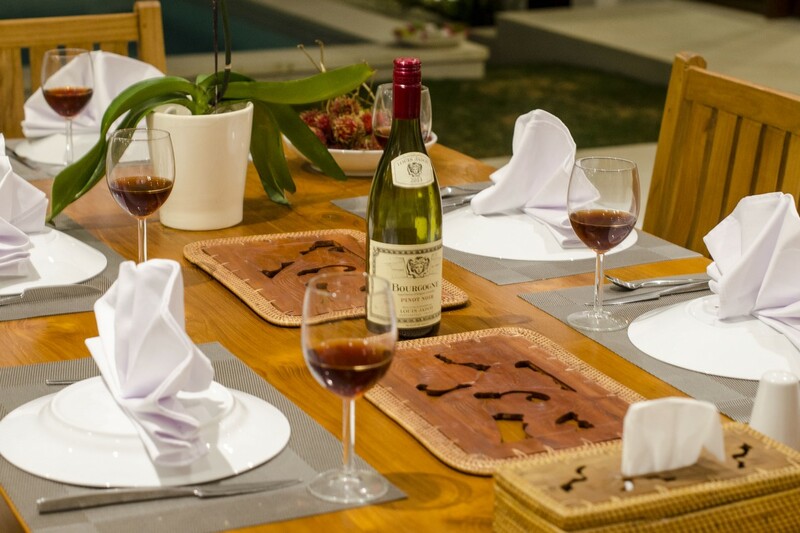 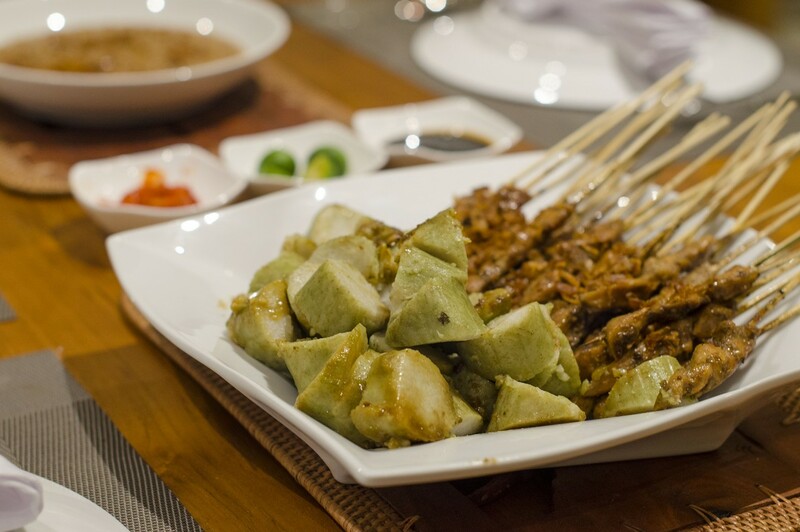 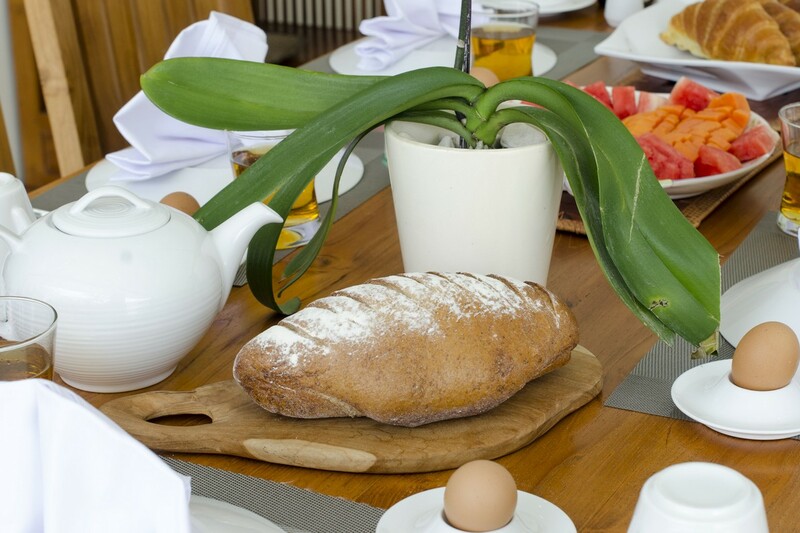 Also you can benefit on request and with extra charges of a private chef who will cook you your favorite meals. 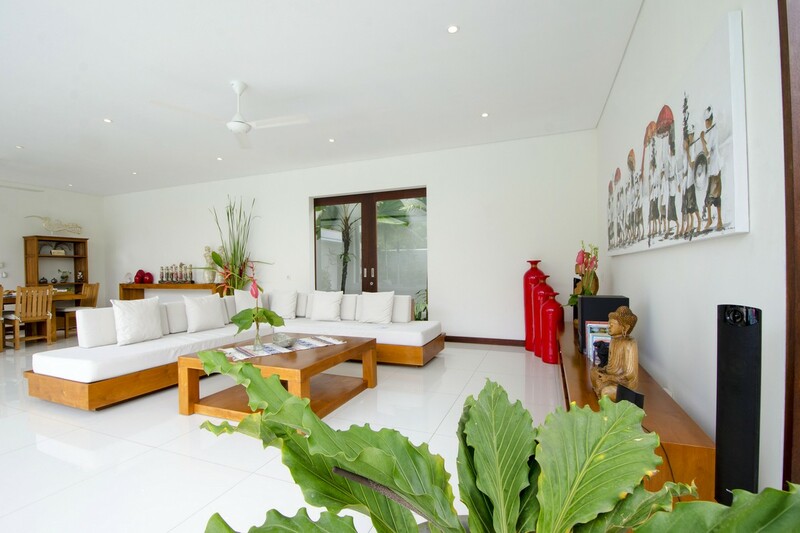 You can ask for a car or motobike rental, for a babysitting service, a baby equipement rental or also for tour and transportation. 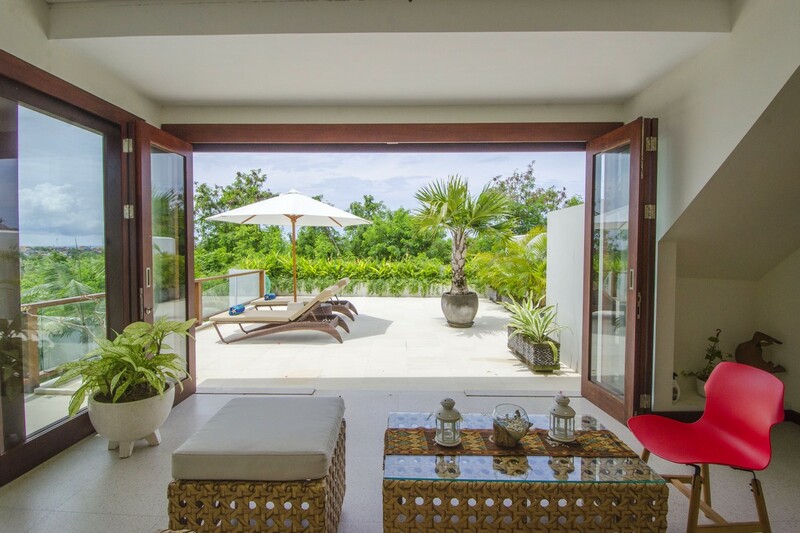 Bali Je T'aime team will be very delighted to welcome you in this paradise where you will feel the serenity and the joy of this location. 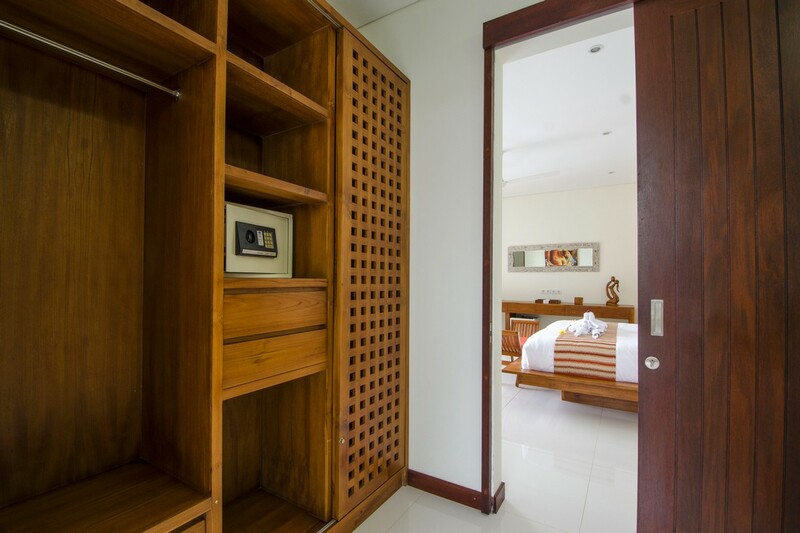 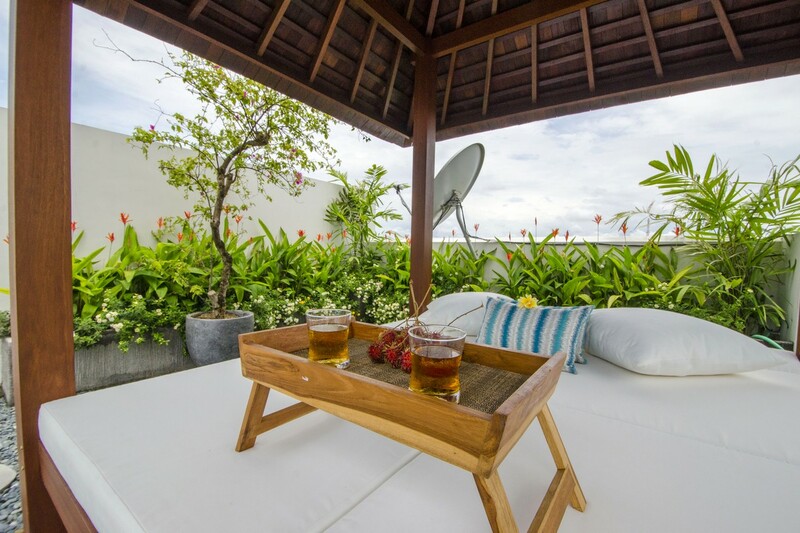 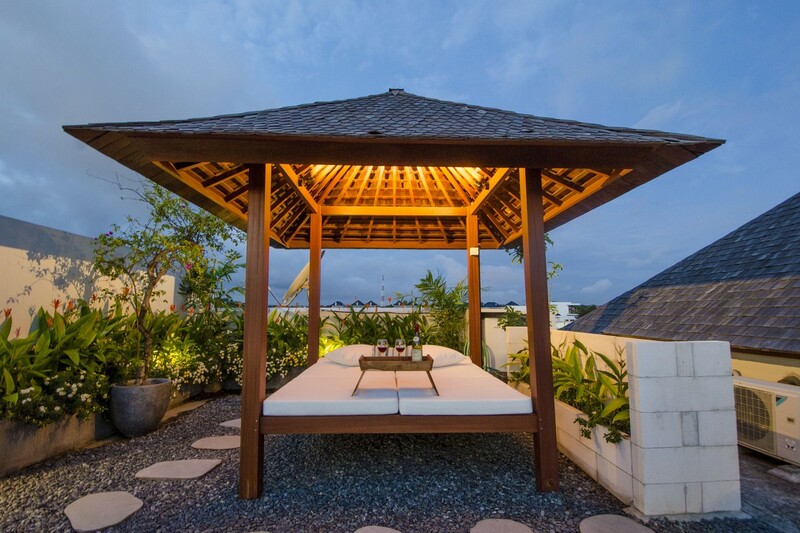 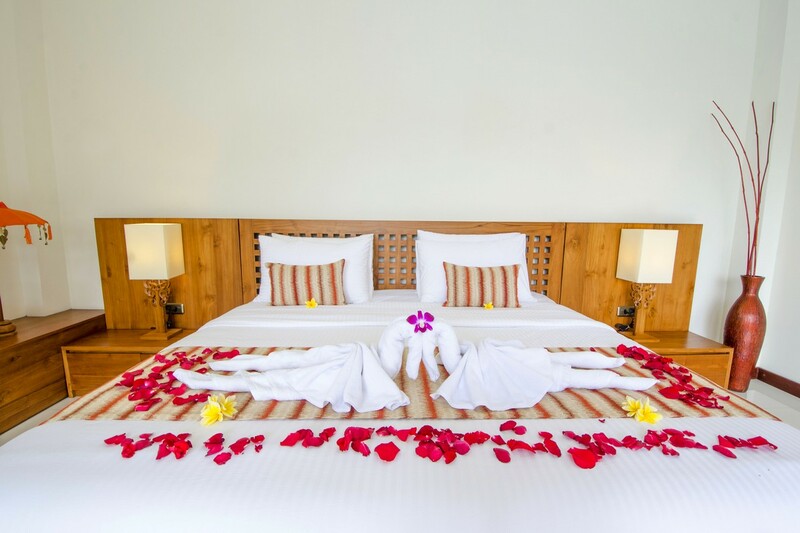 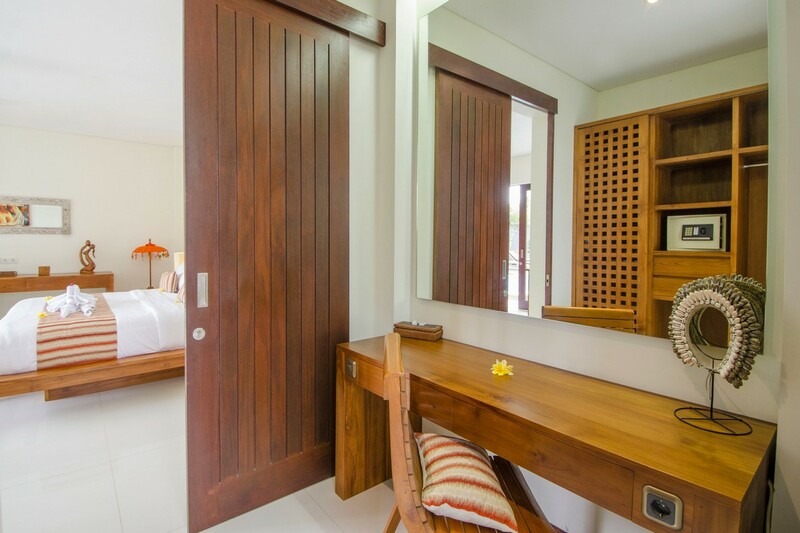 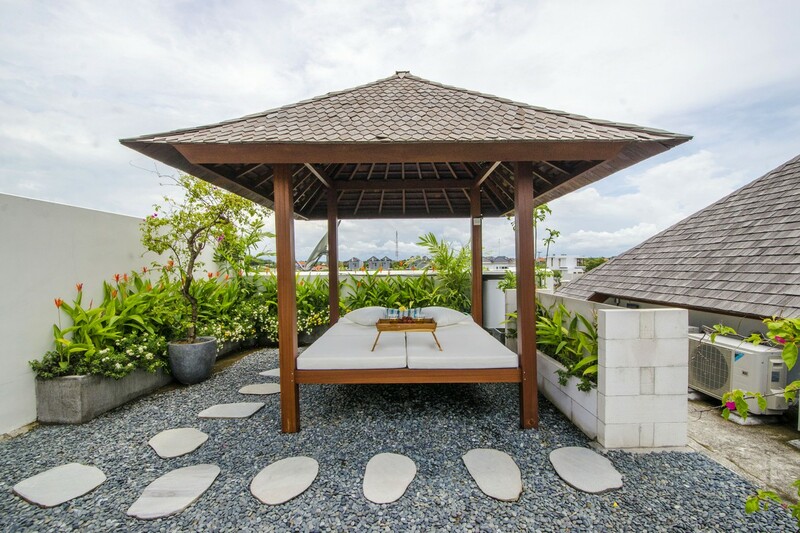 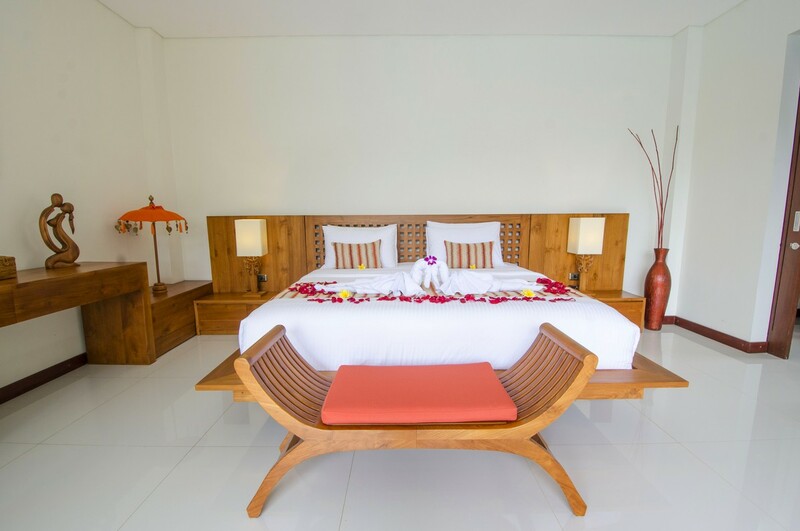 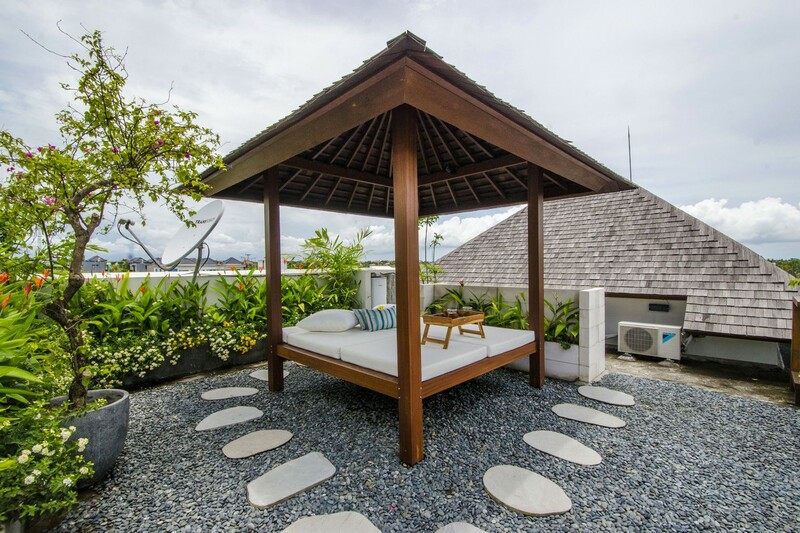 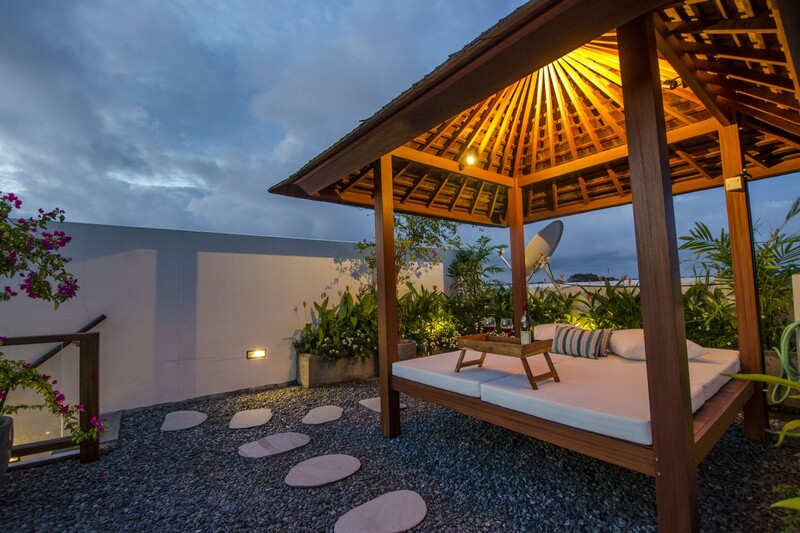 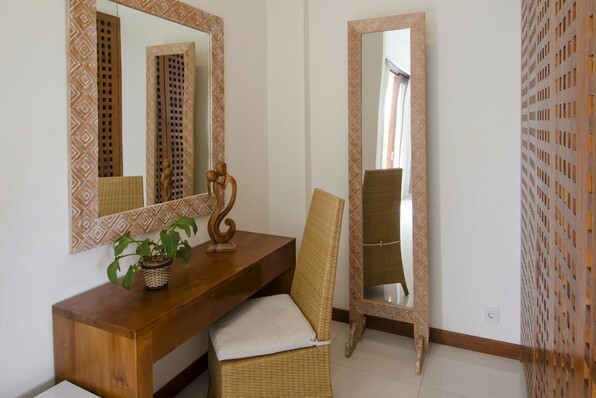 Enjoy your balinese stay with us !